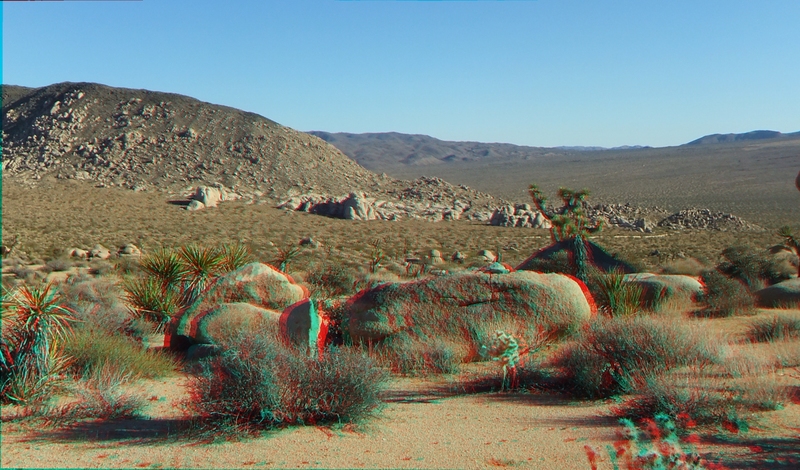 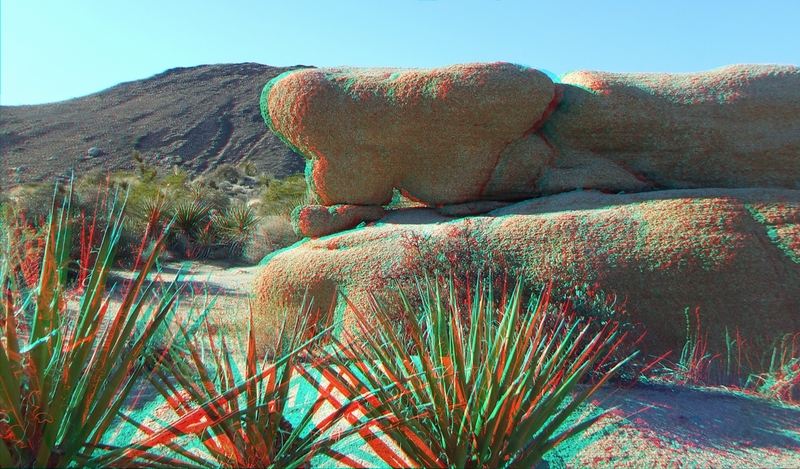 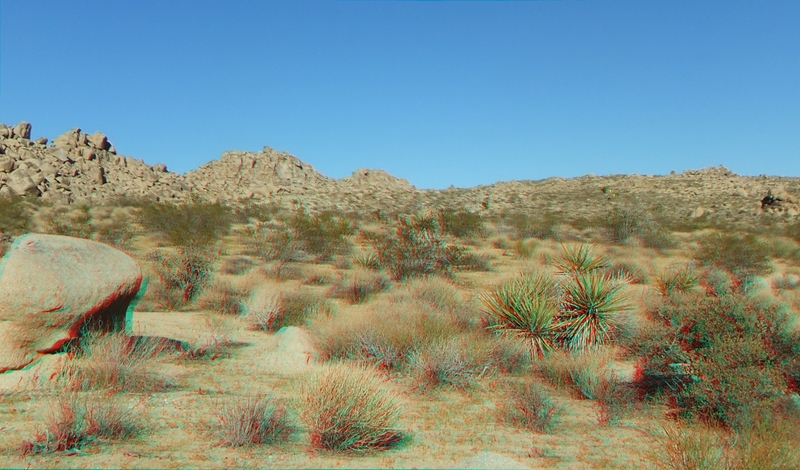 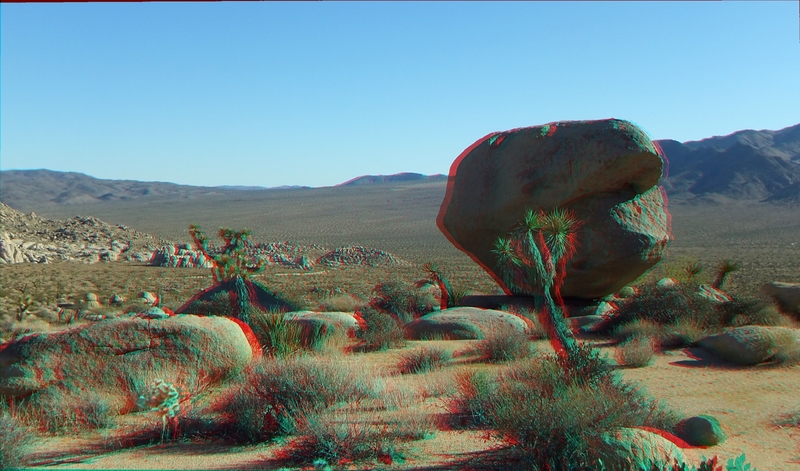 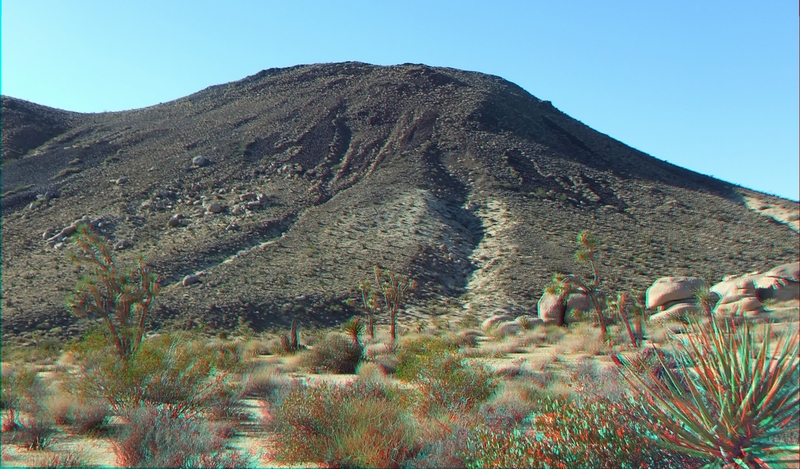 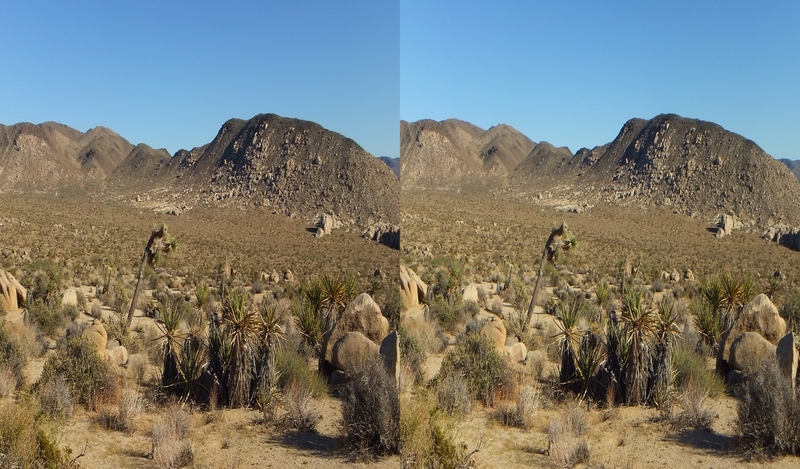 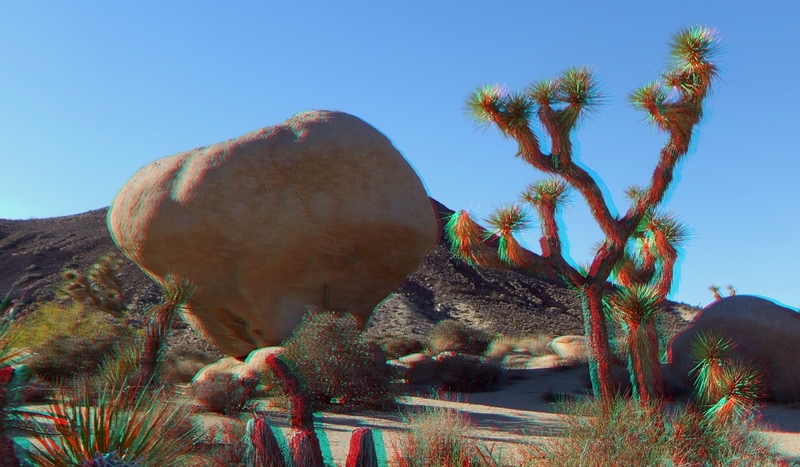 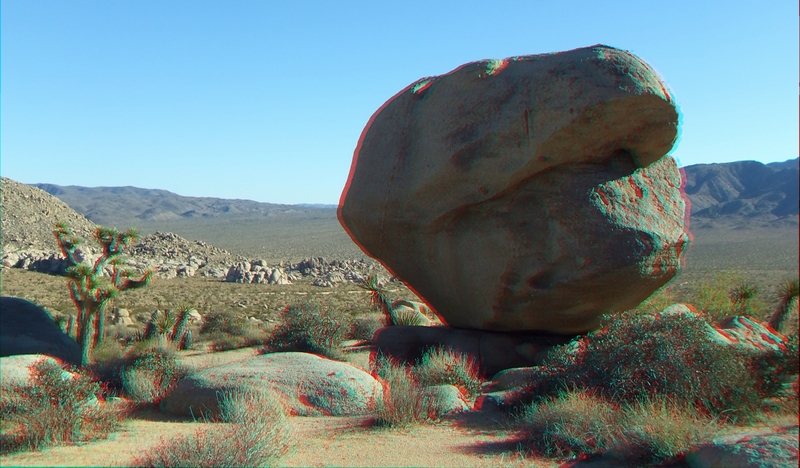 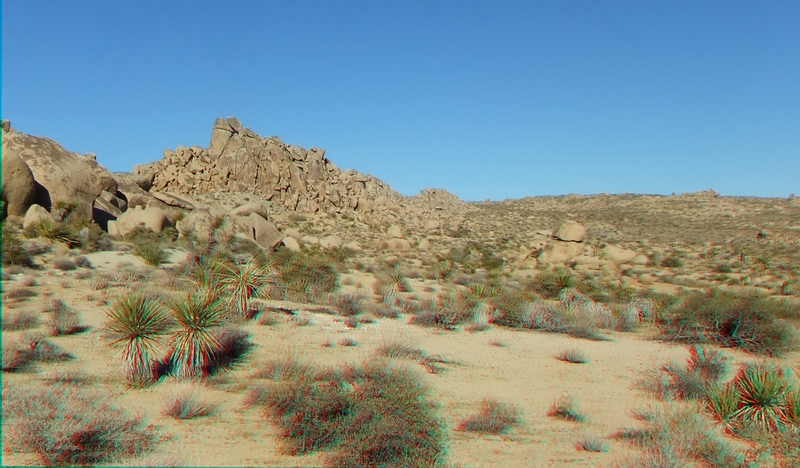 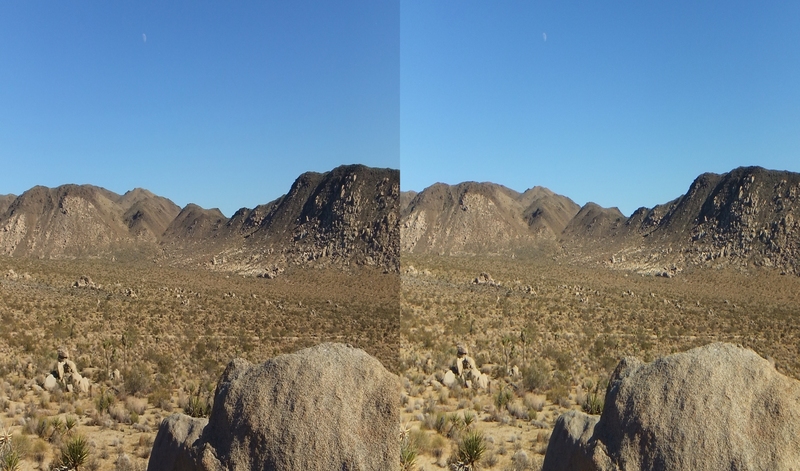 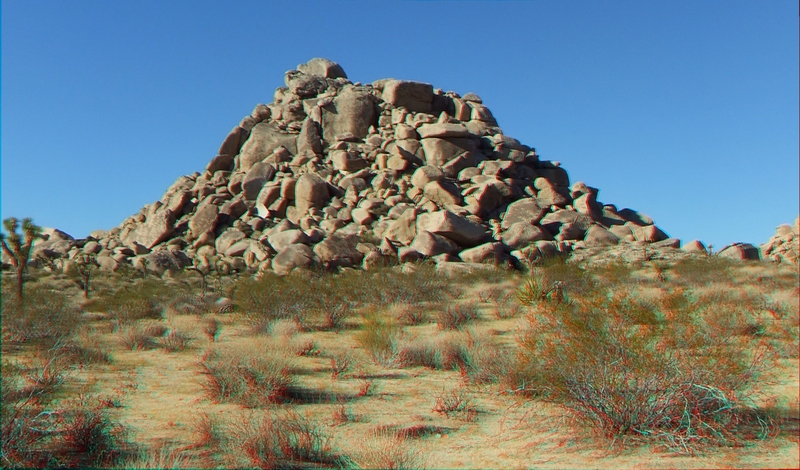 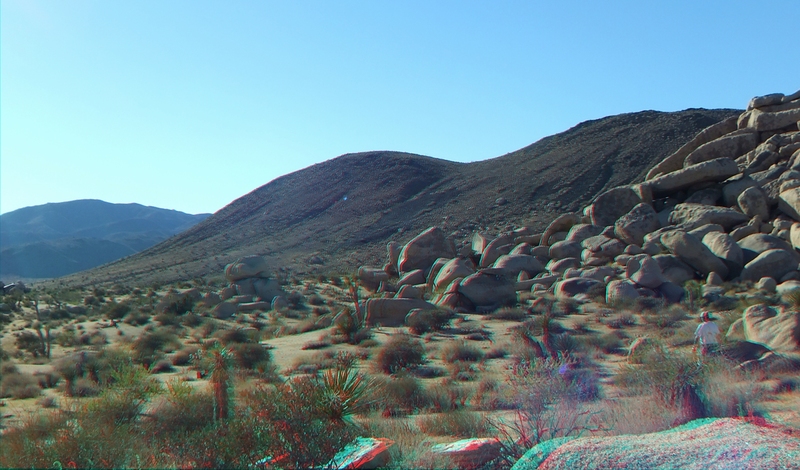 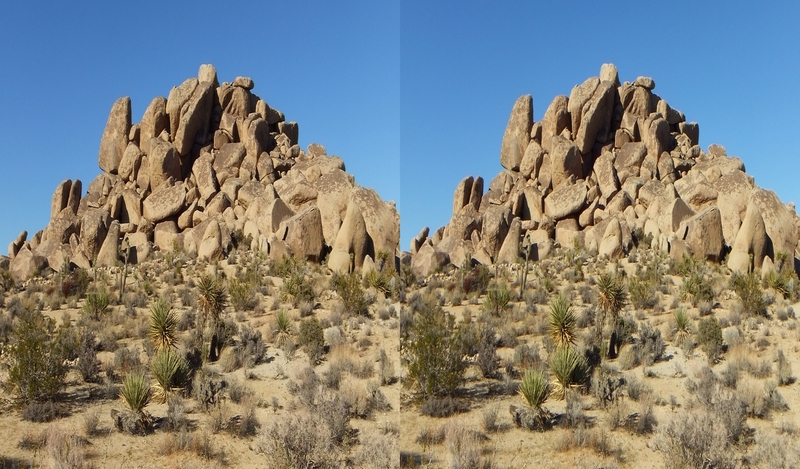 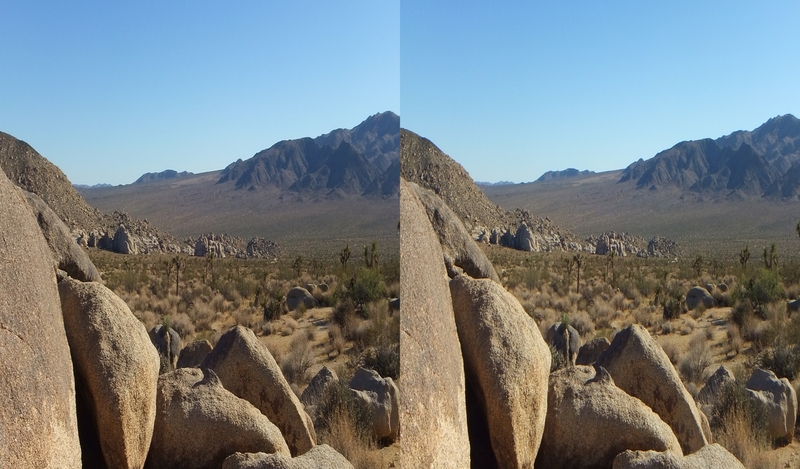 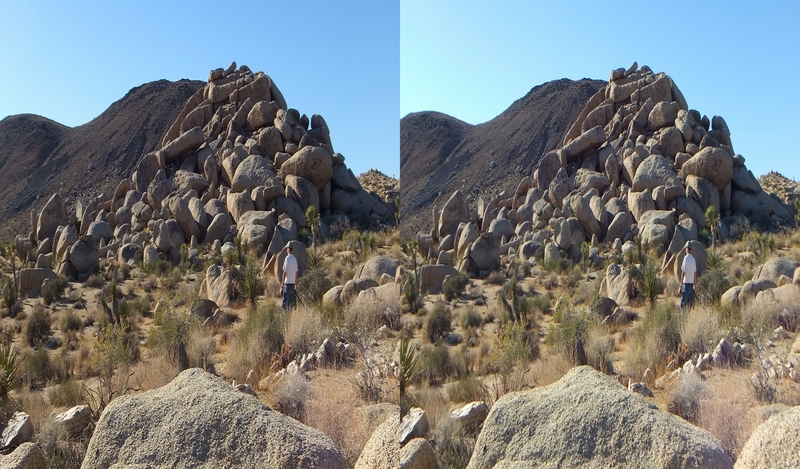 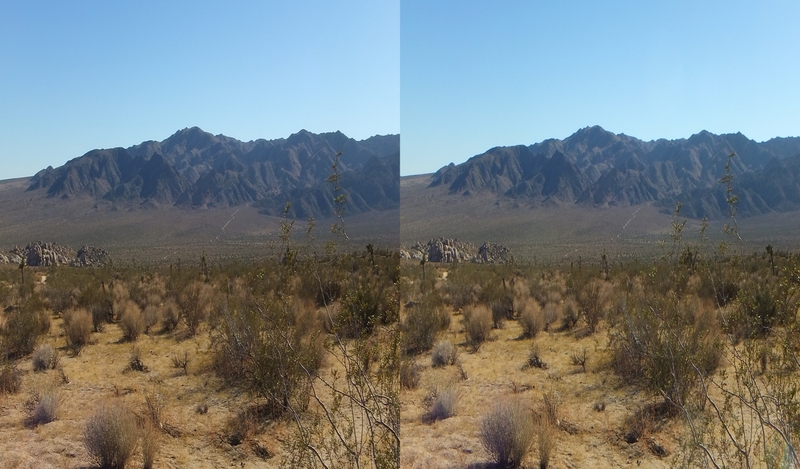 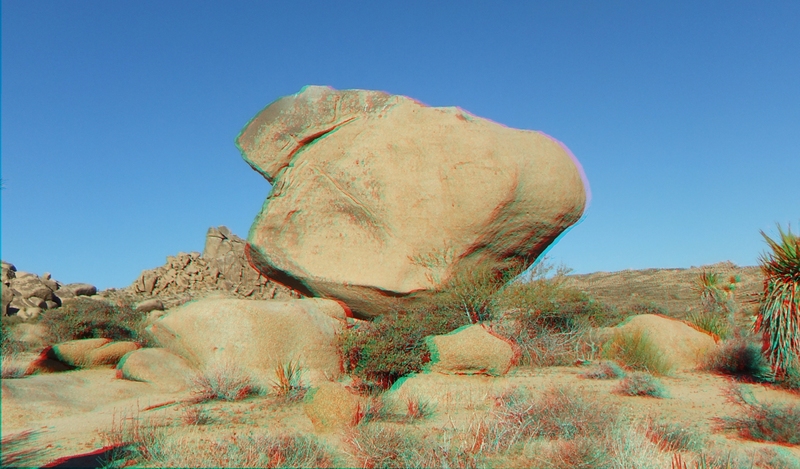 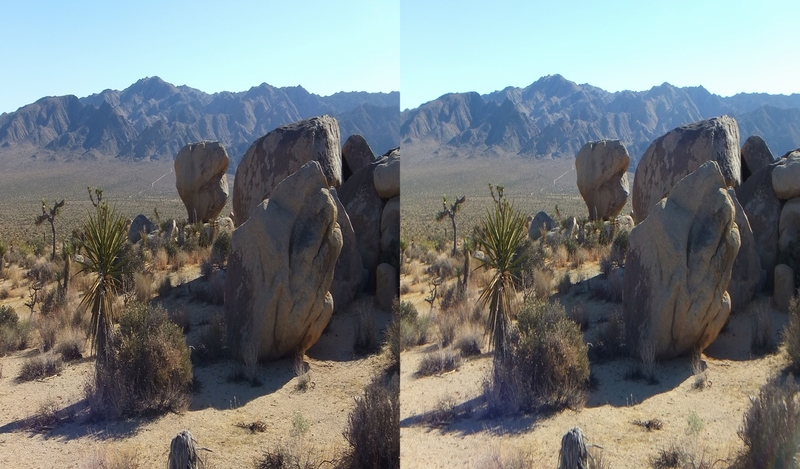 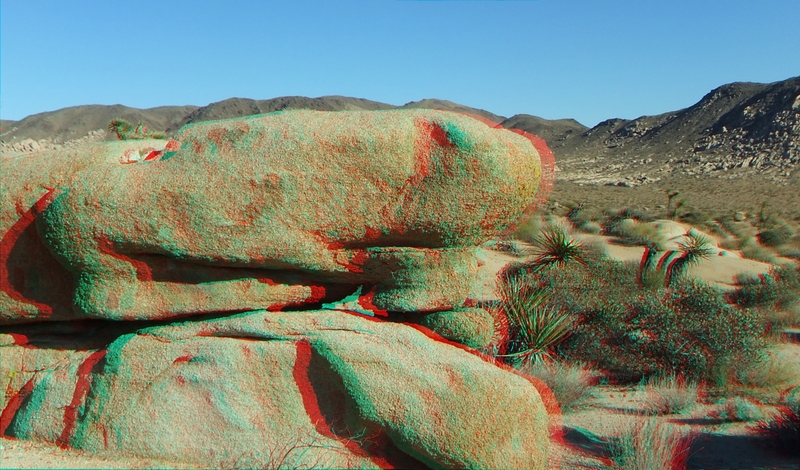 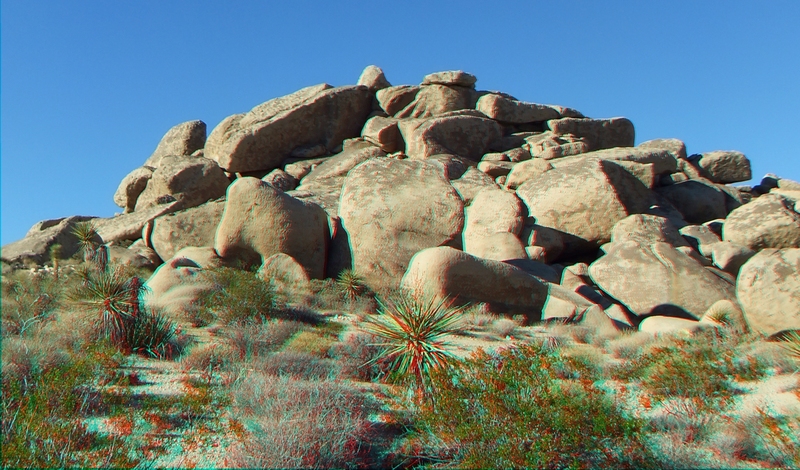 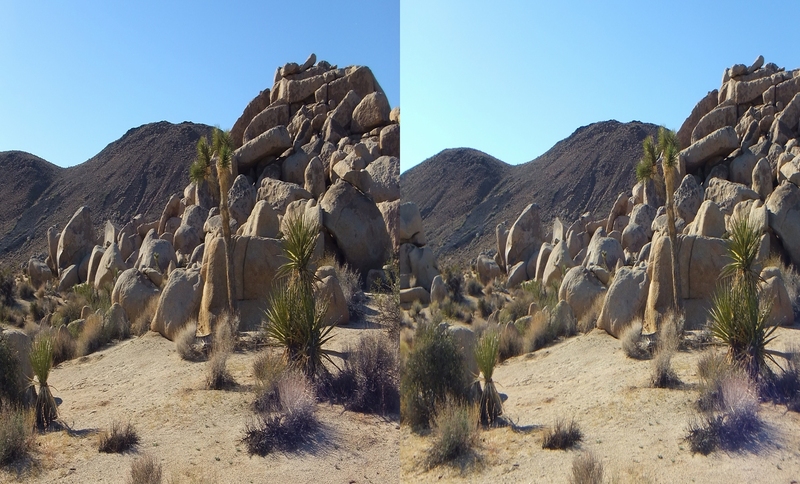 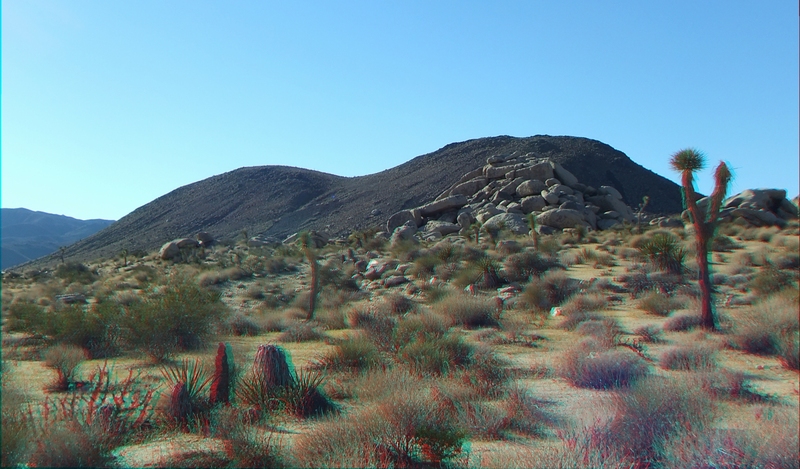 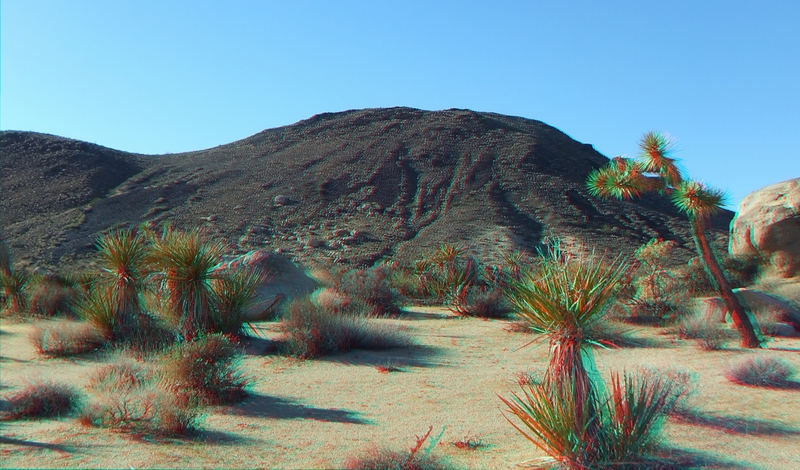 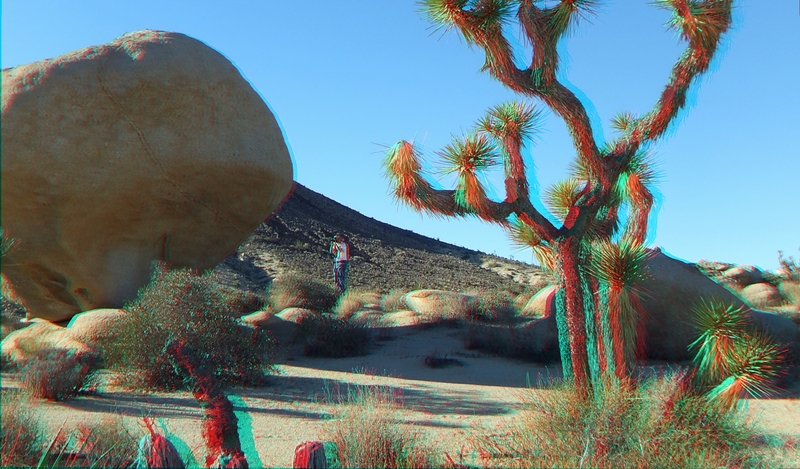 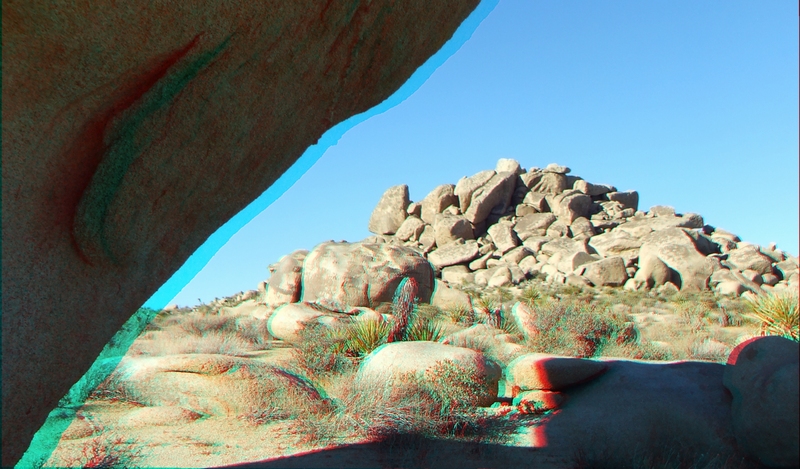 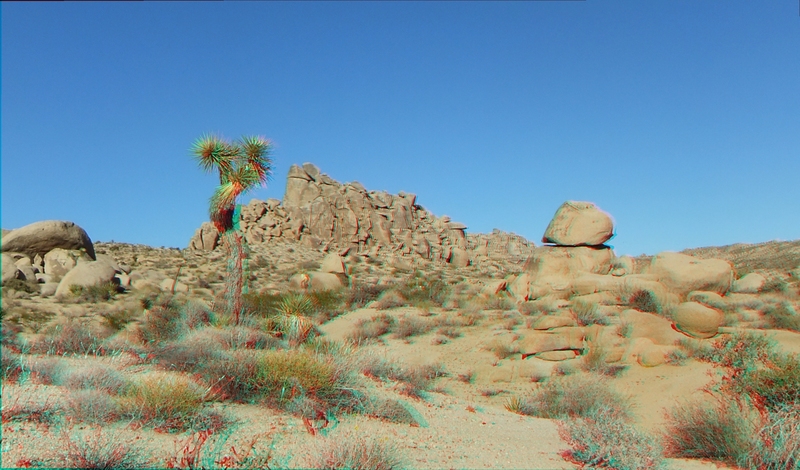 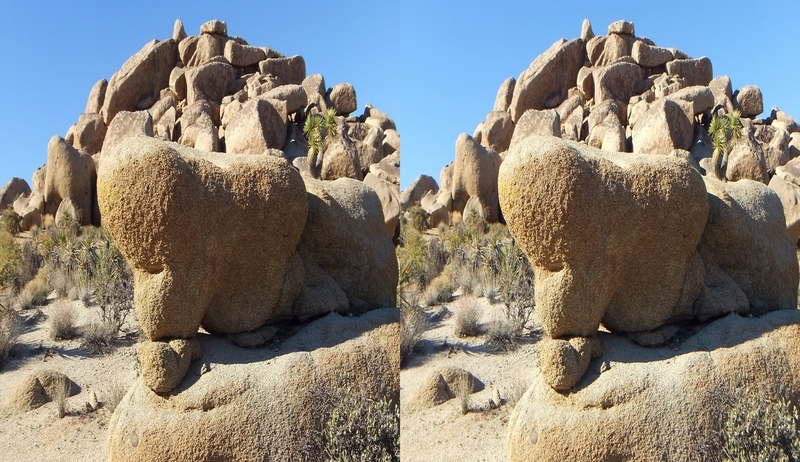 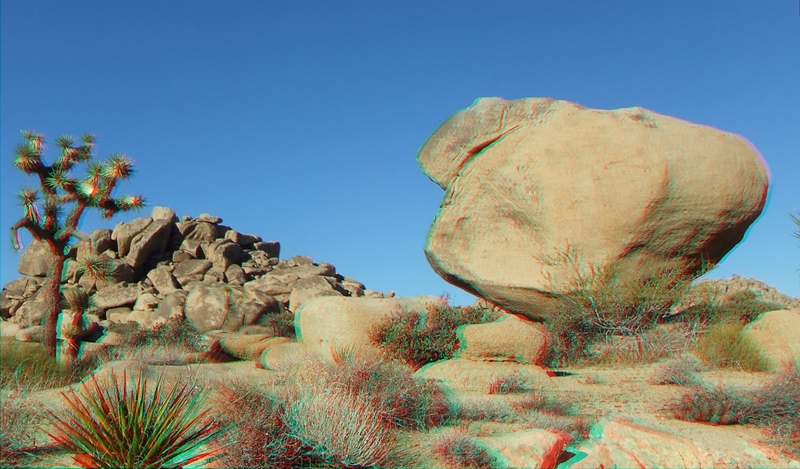 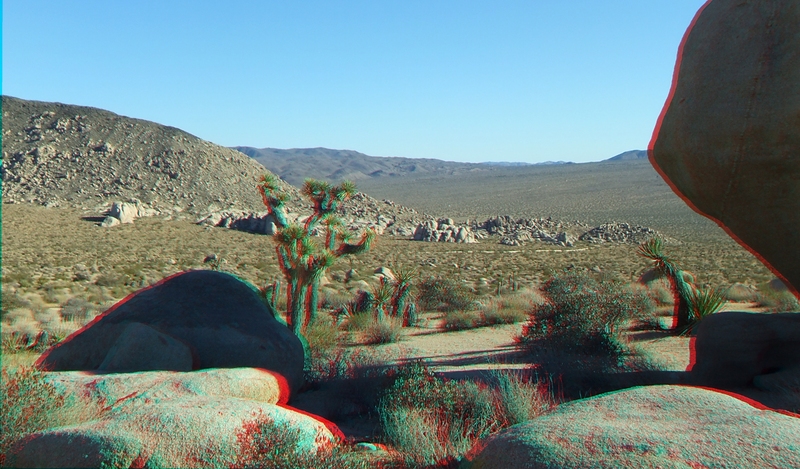 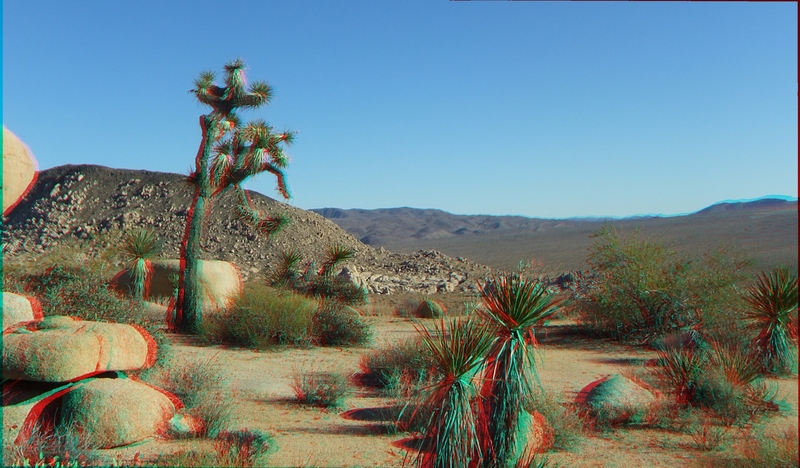 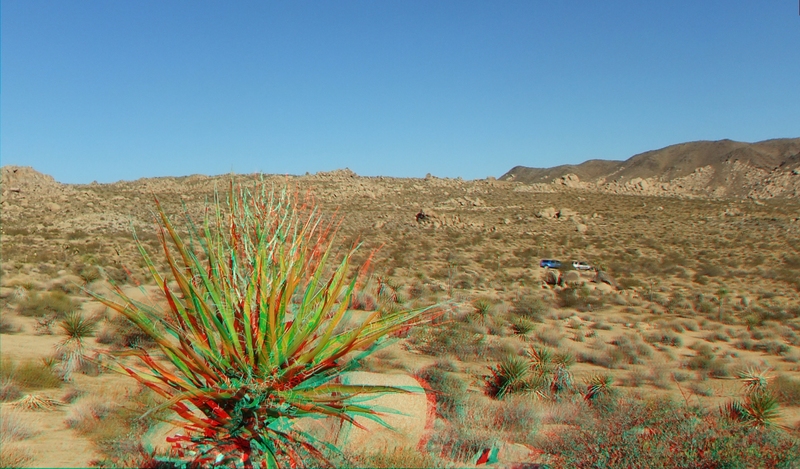 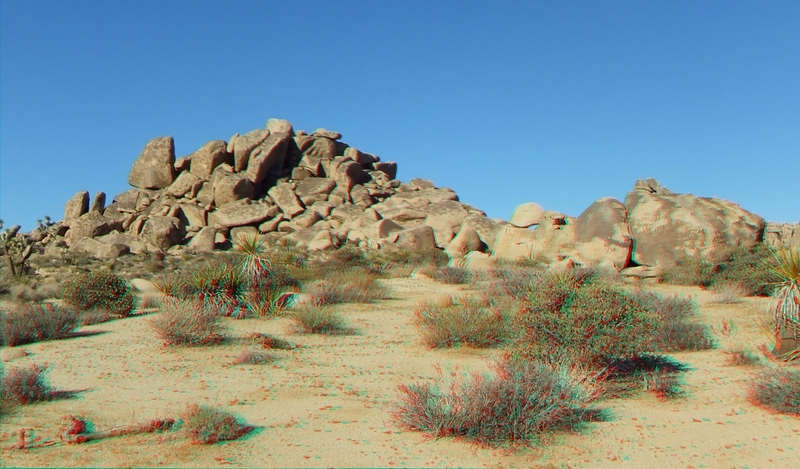 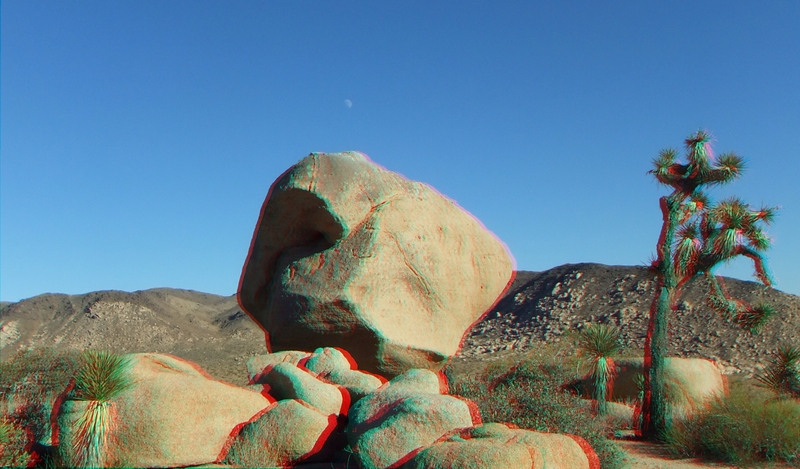 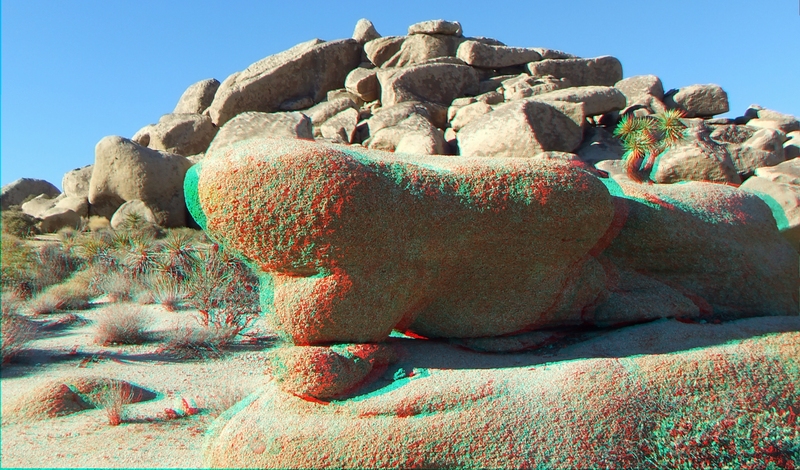 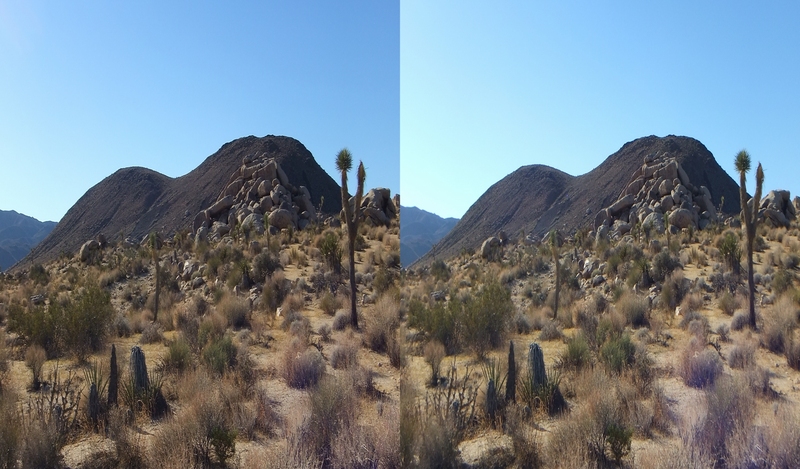 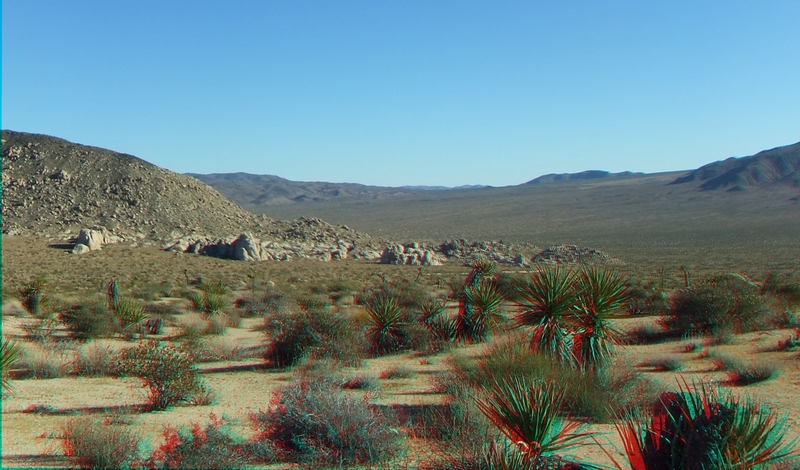 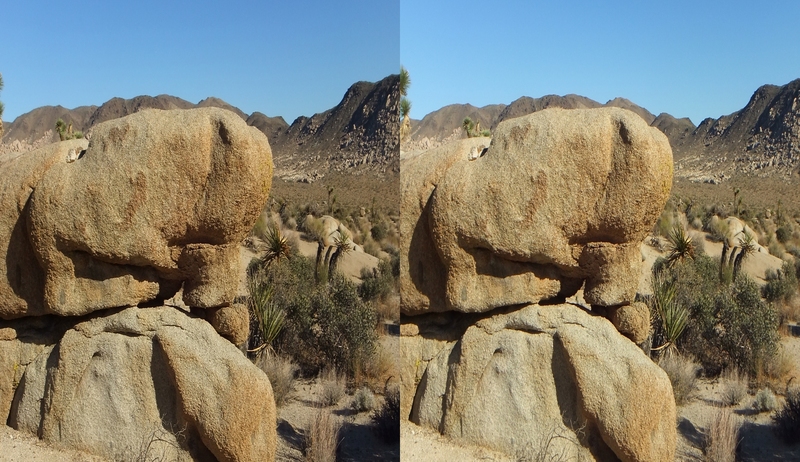 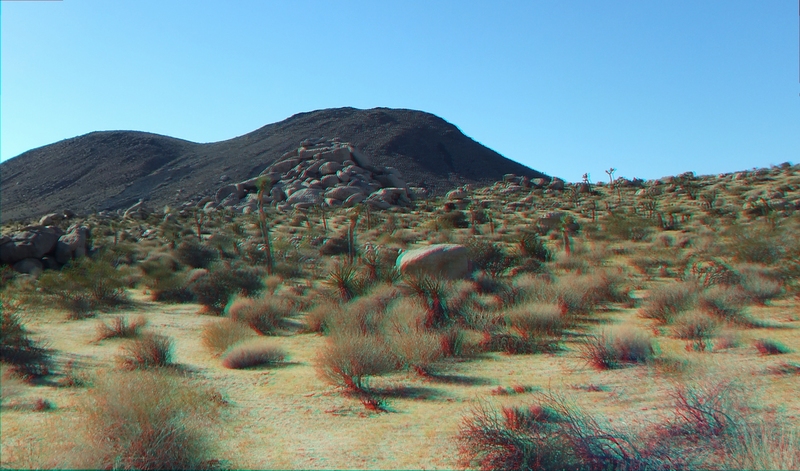 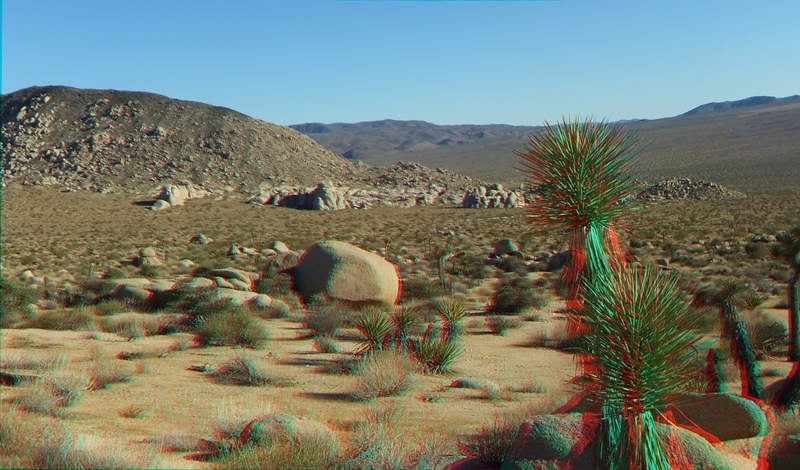 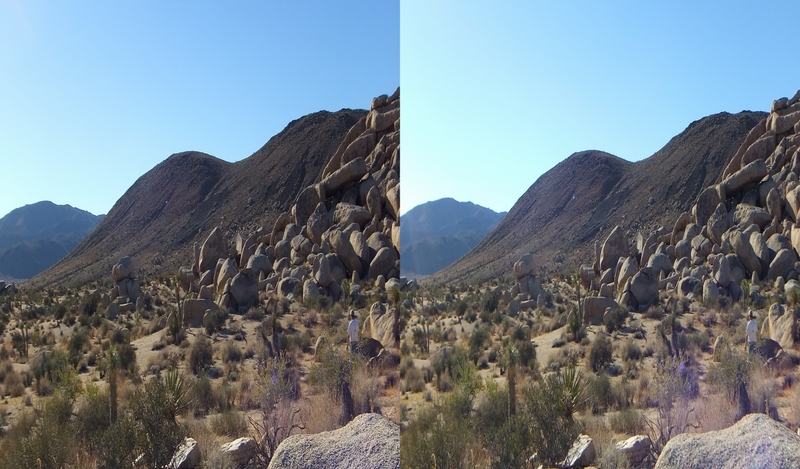 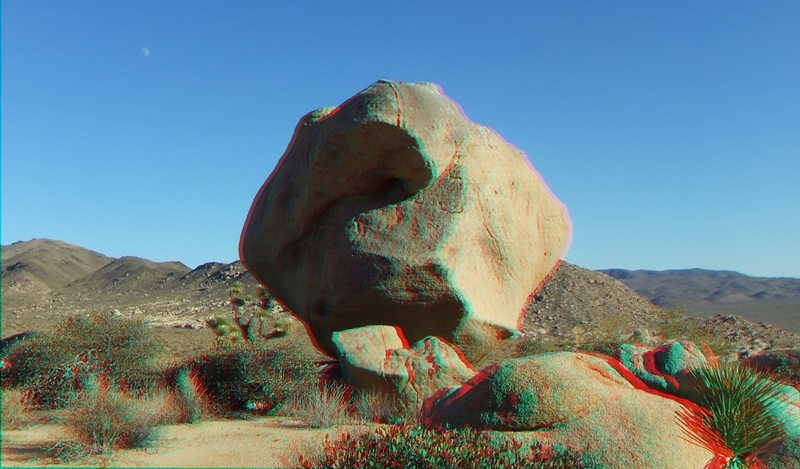 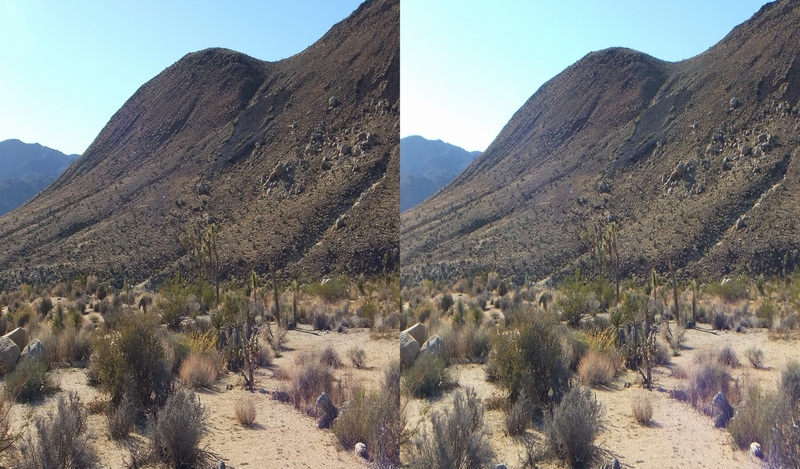 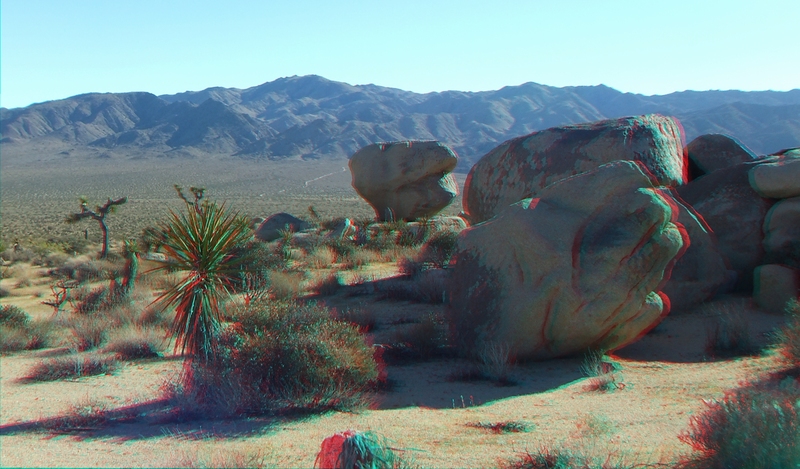 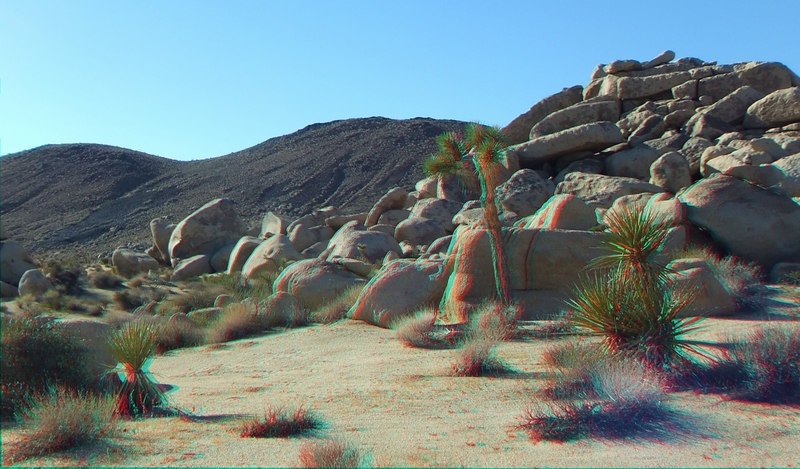 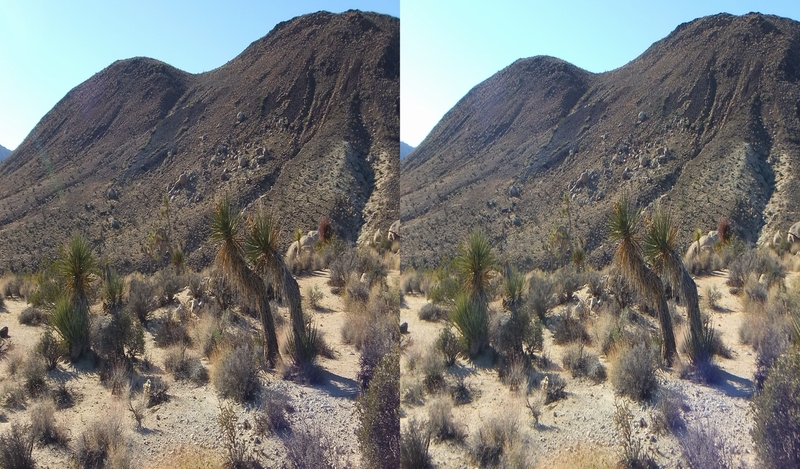 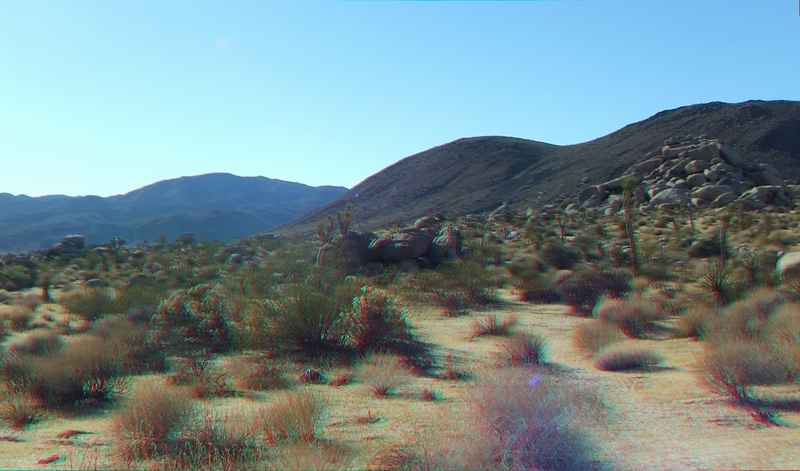 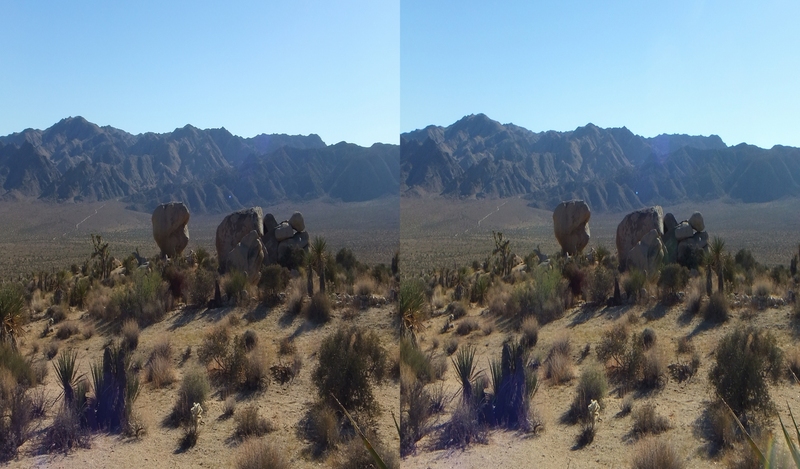 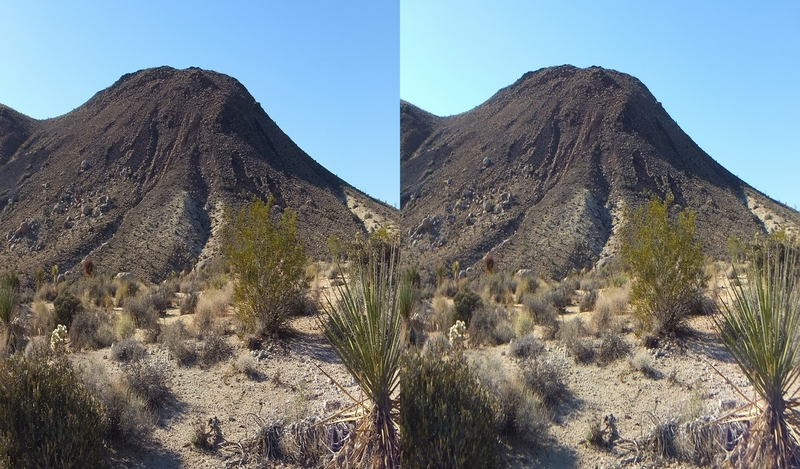 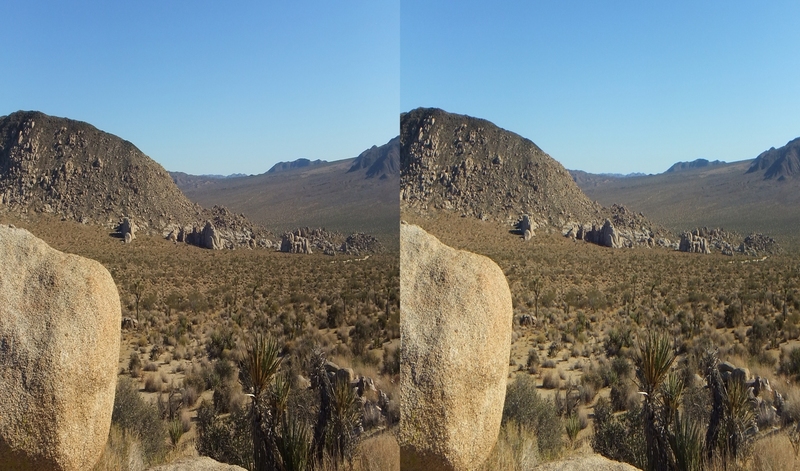 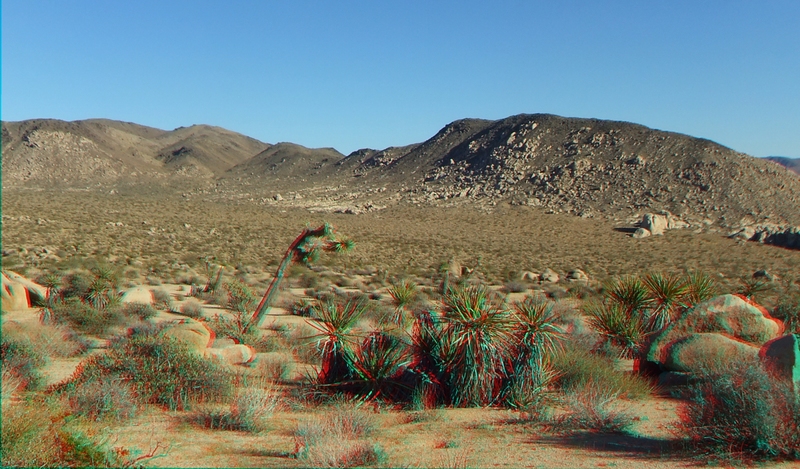 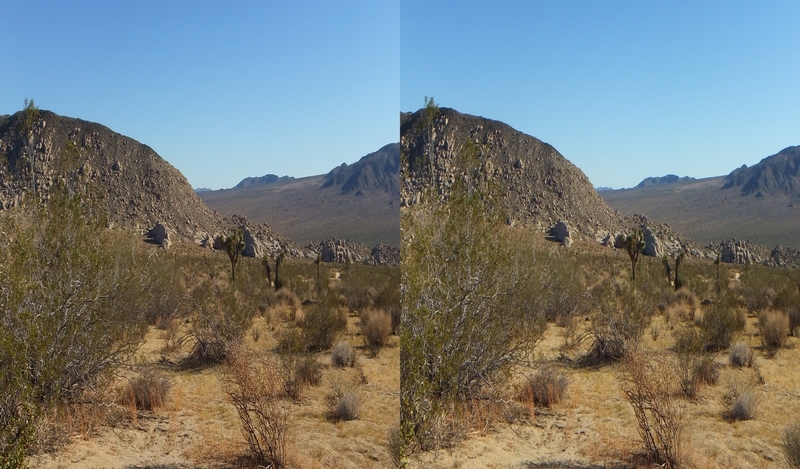 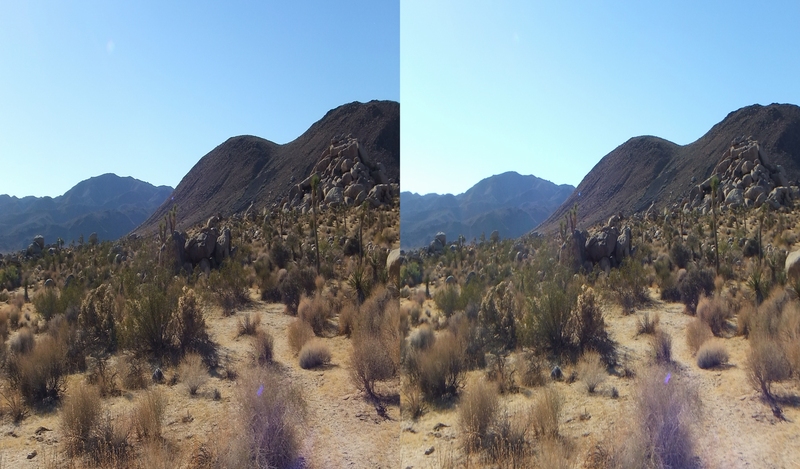 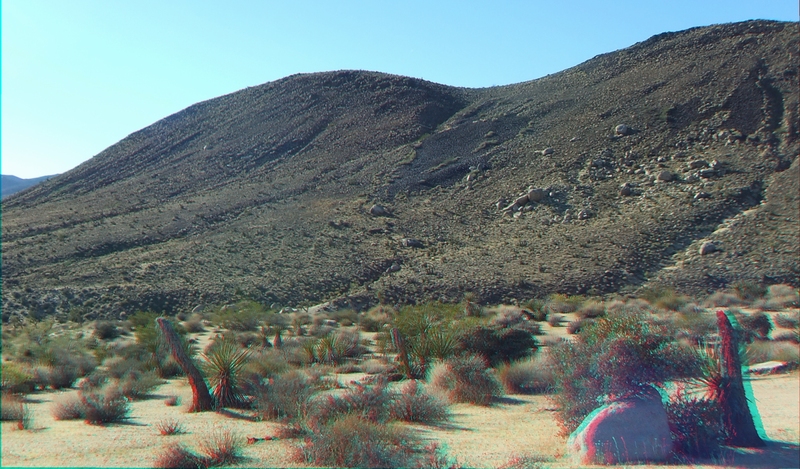 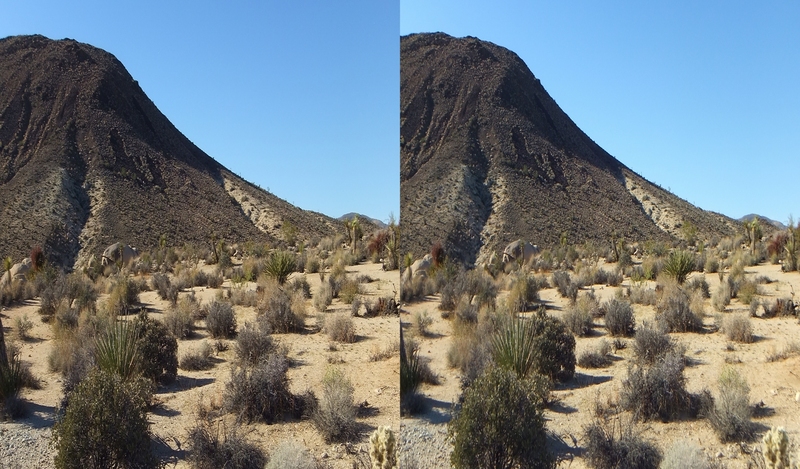 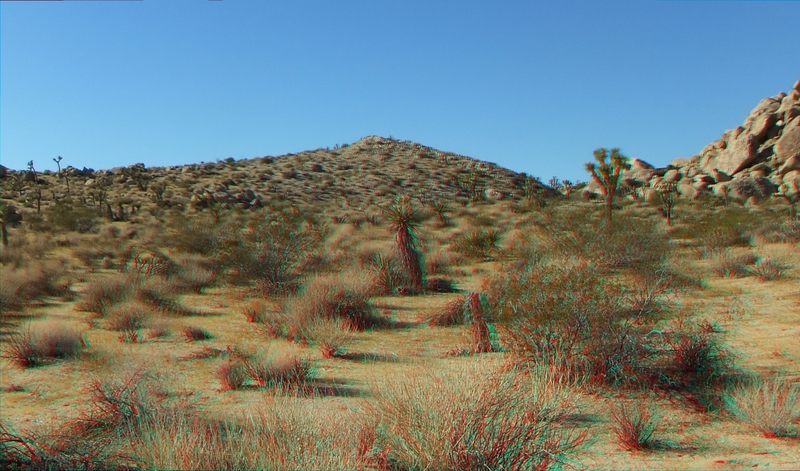 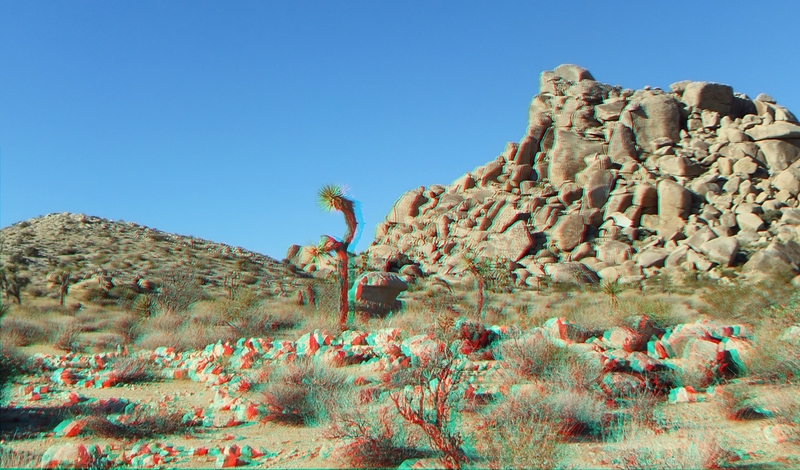 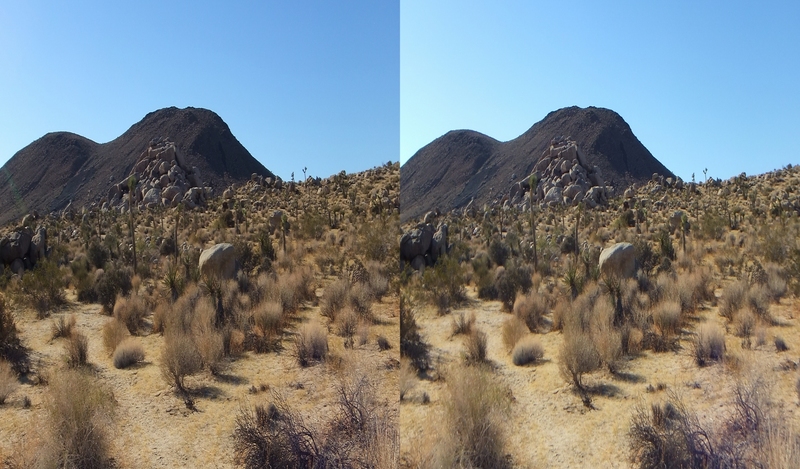 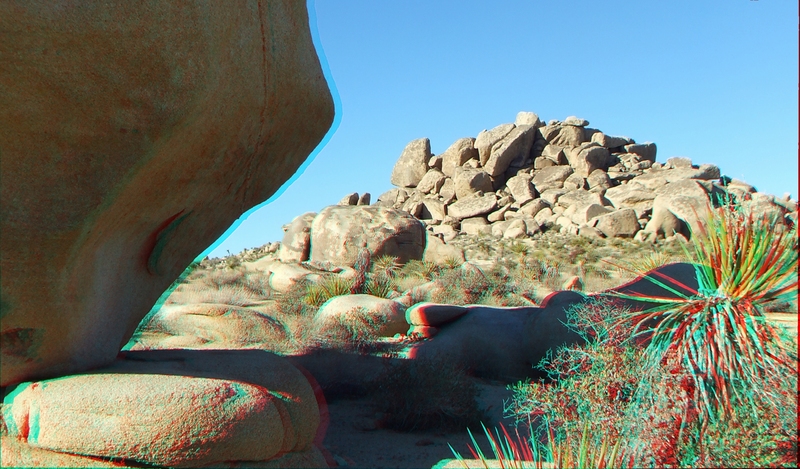 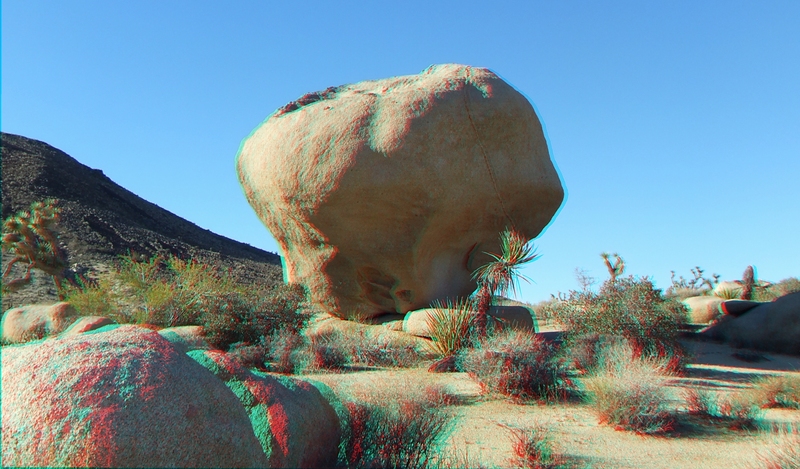 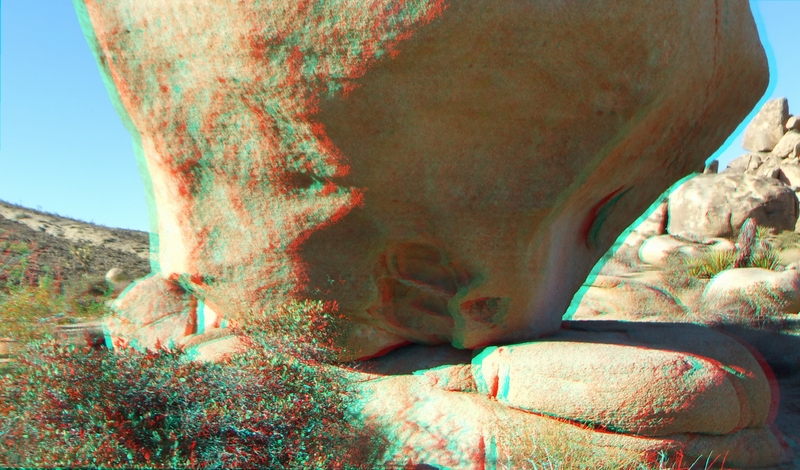 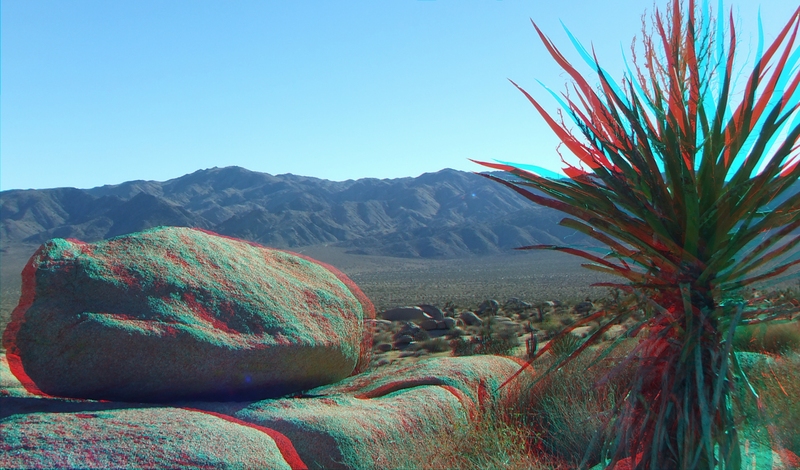 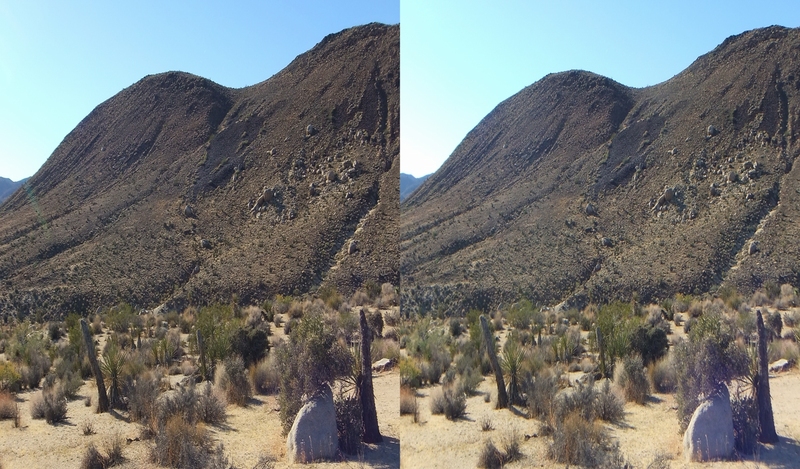 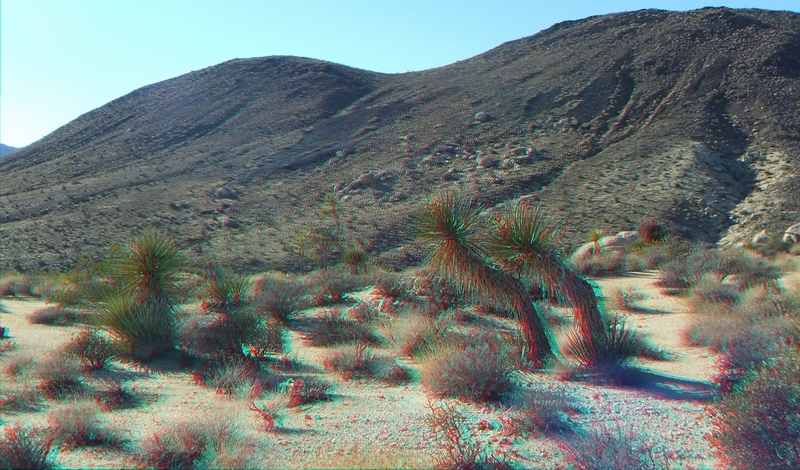 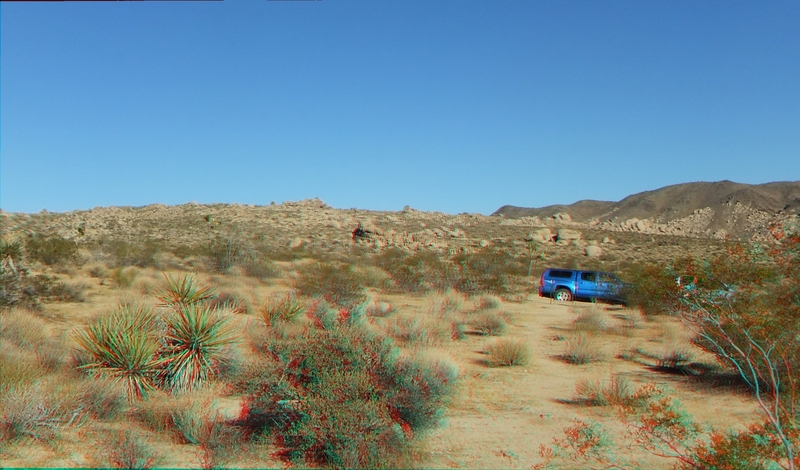 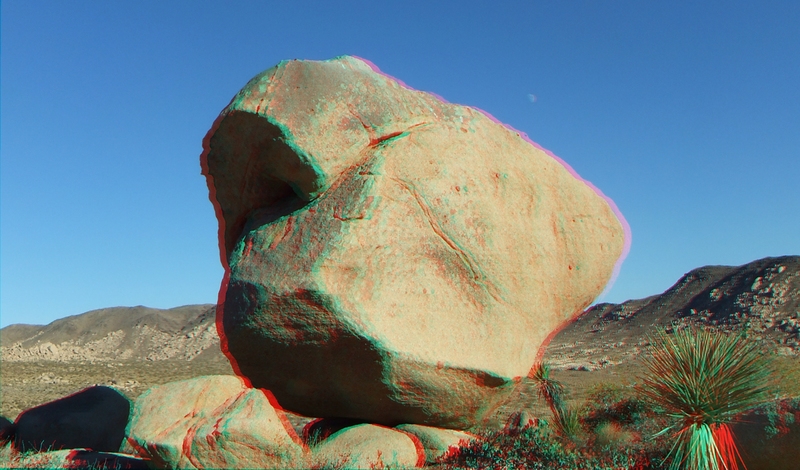 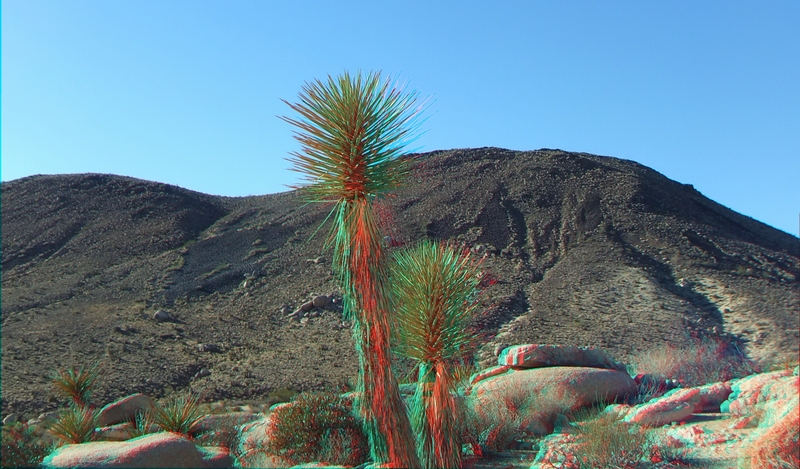 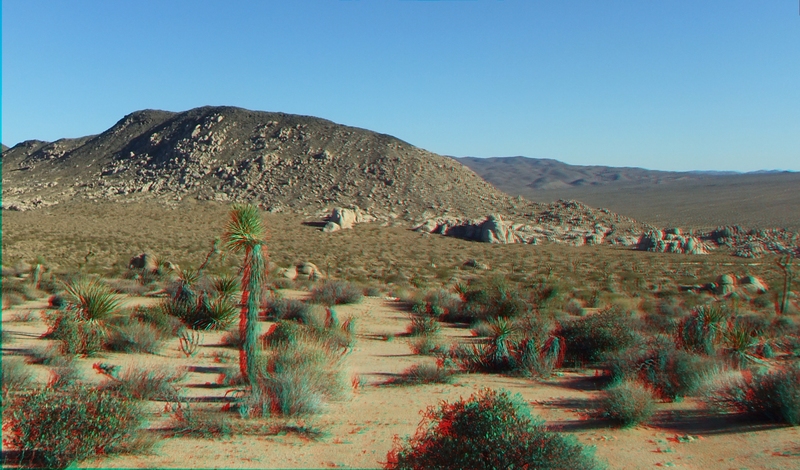 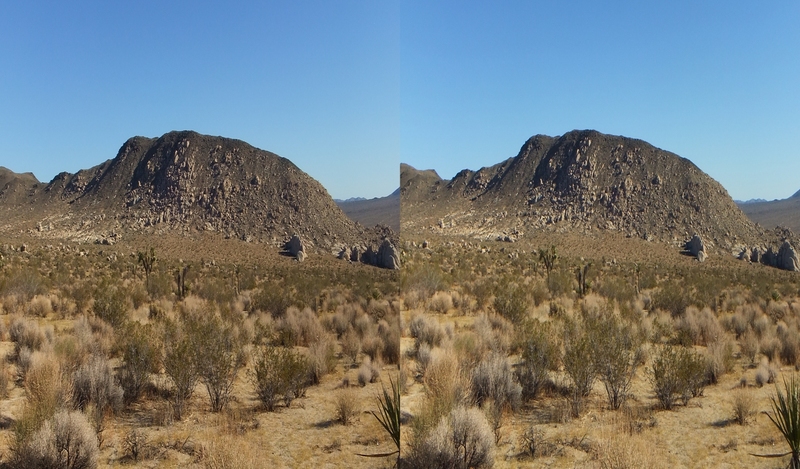 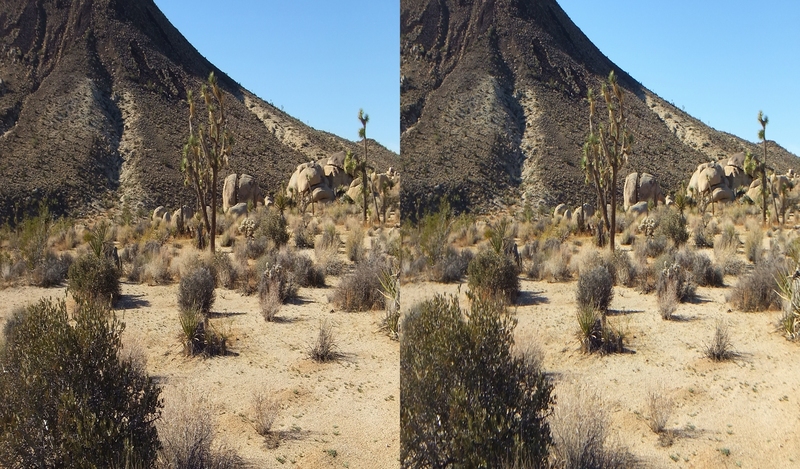 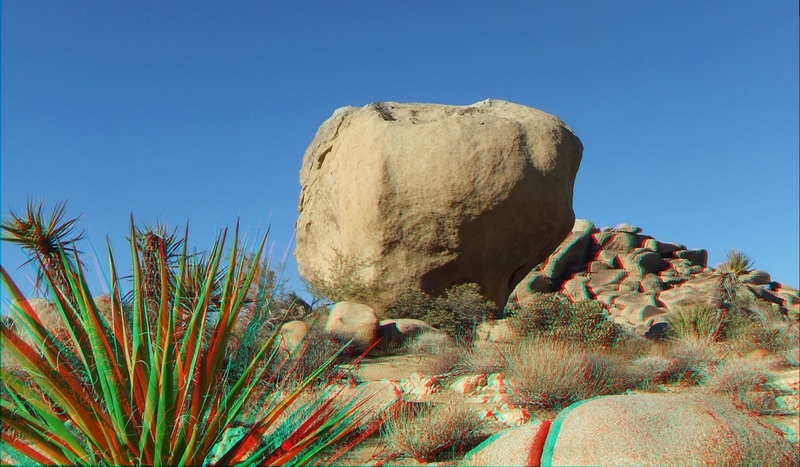 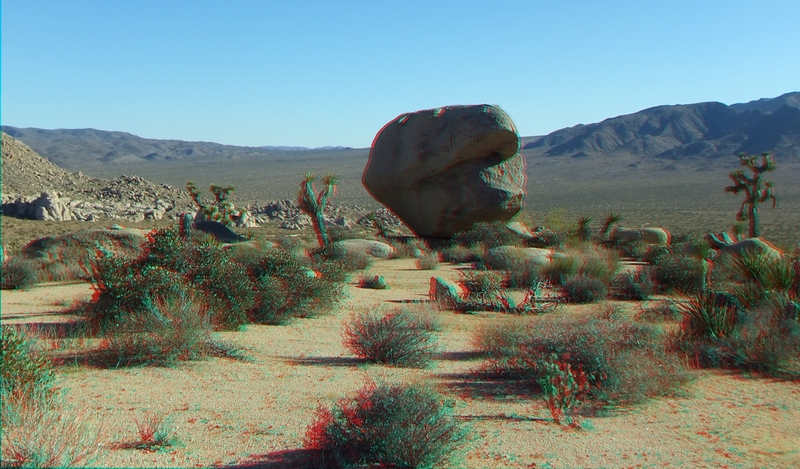 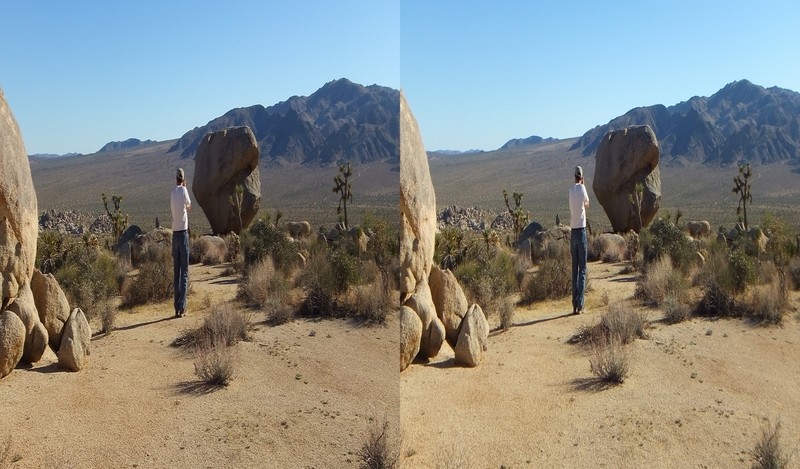 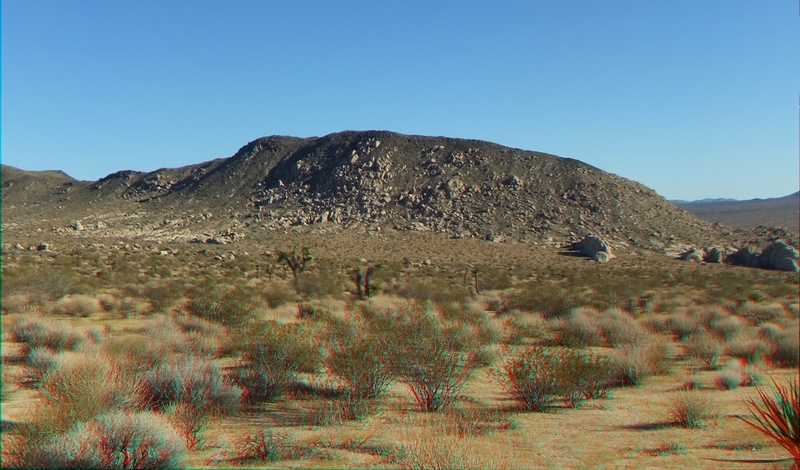 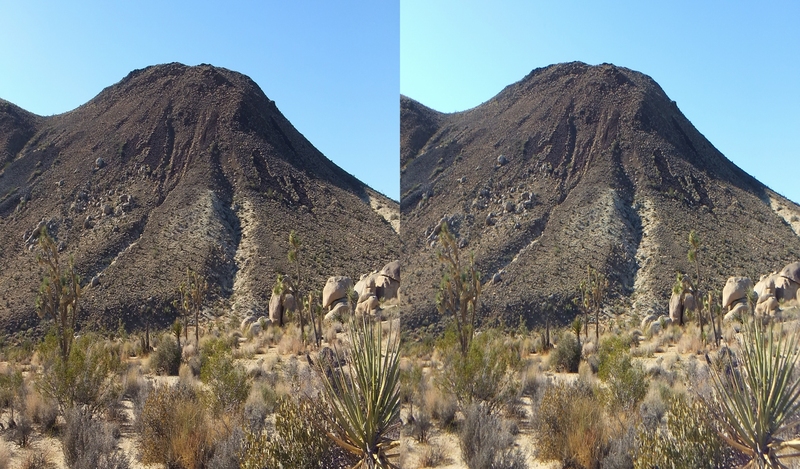 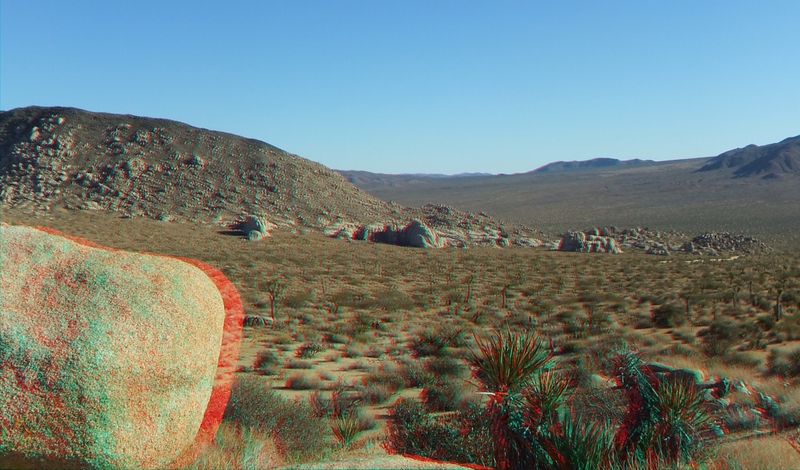 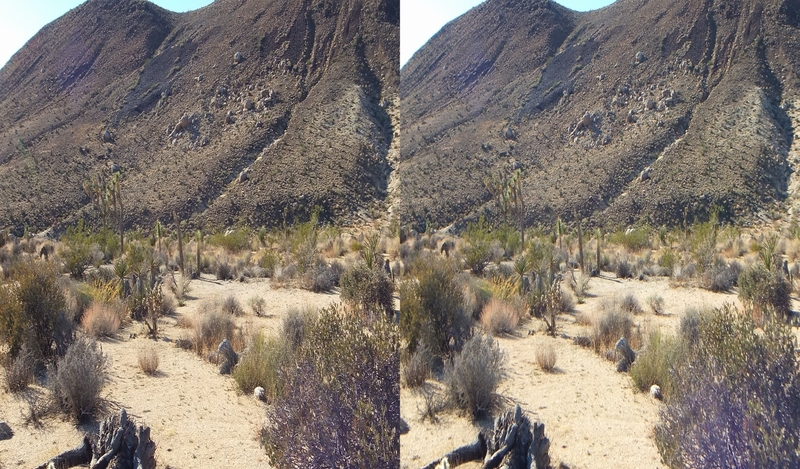 Download as many of the 3D Anaglyph or 3D Half Side-by-Side photographs as you like. 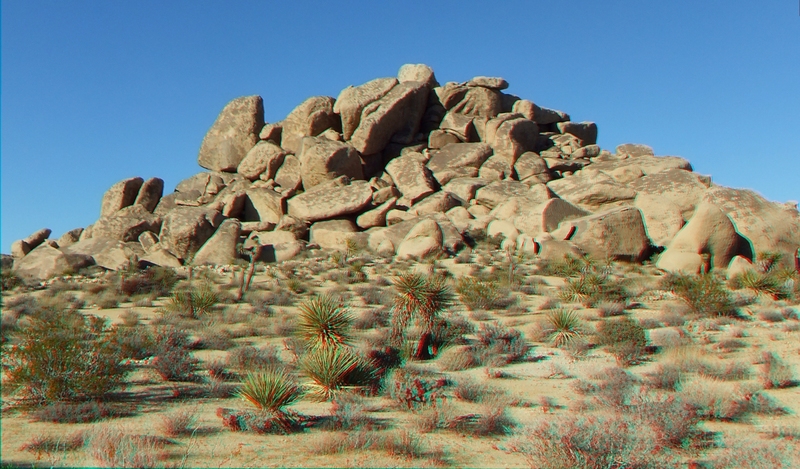 The 3D H-SBS images should only be saved if you have access to a 3D TV. 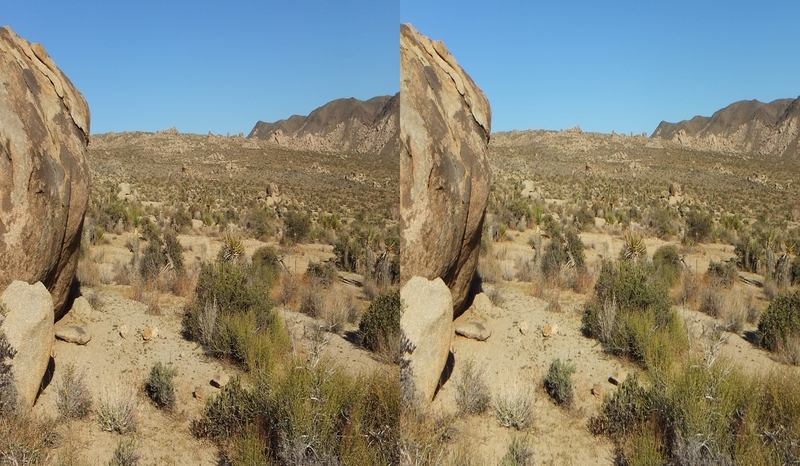 I sincerely hope that you enjoyed viewing the Balanced Rock of Malapai Hill as much as I did photographing it. 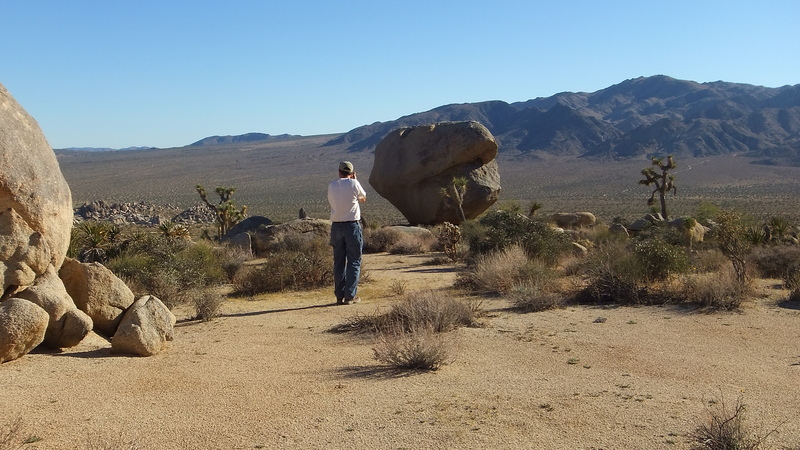 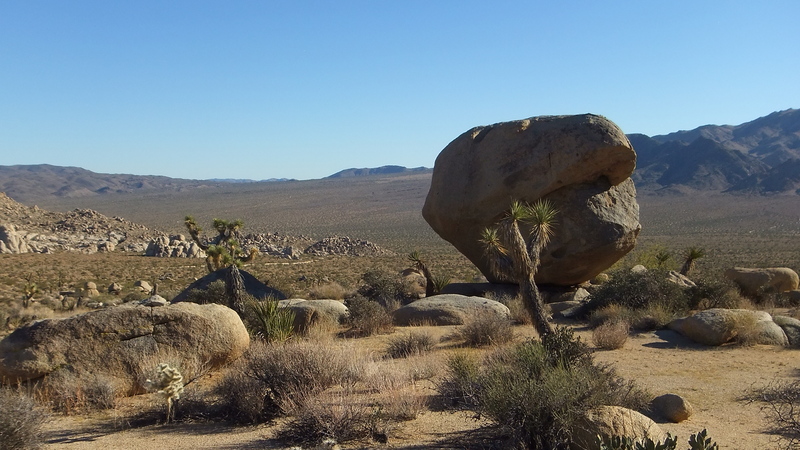 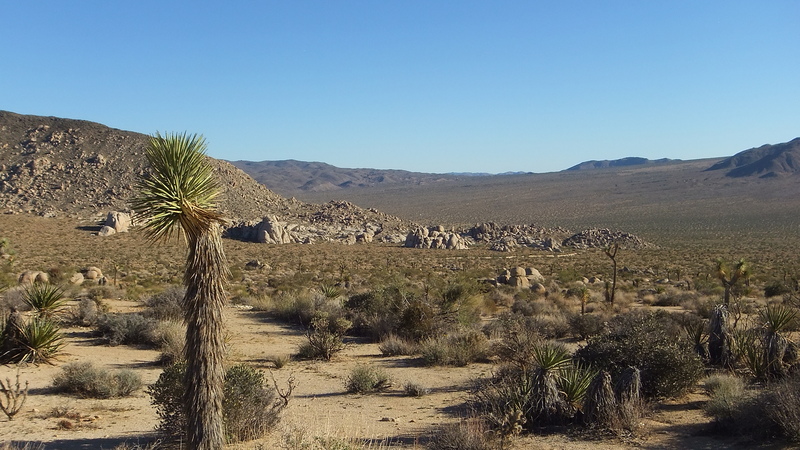 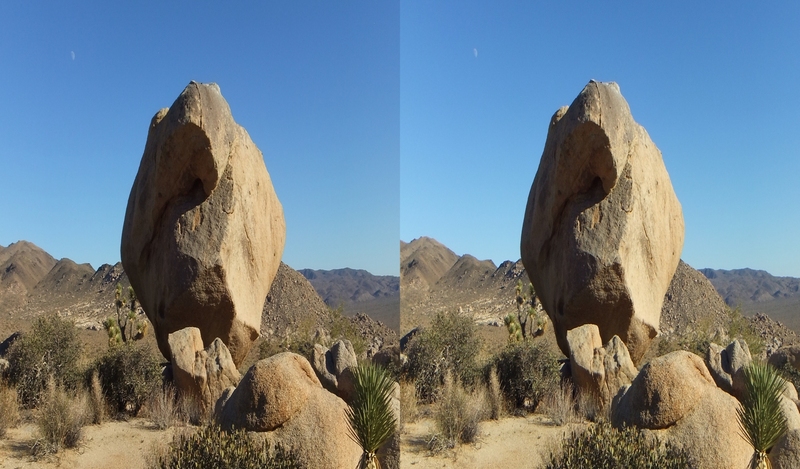 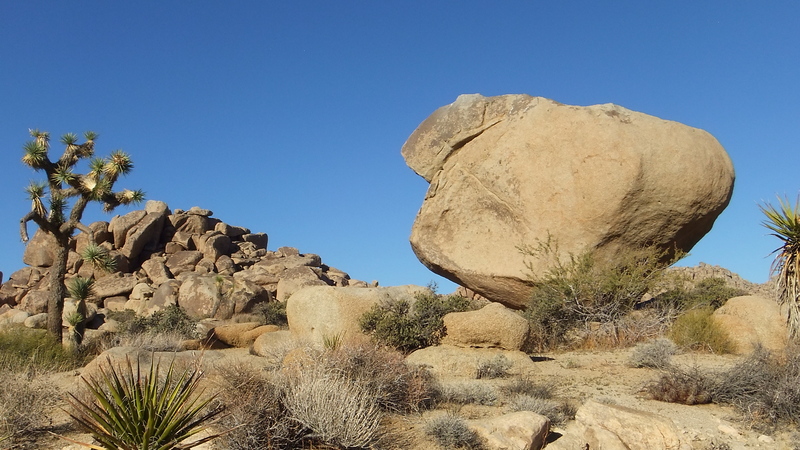 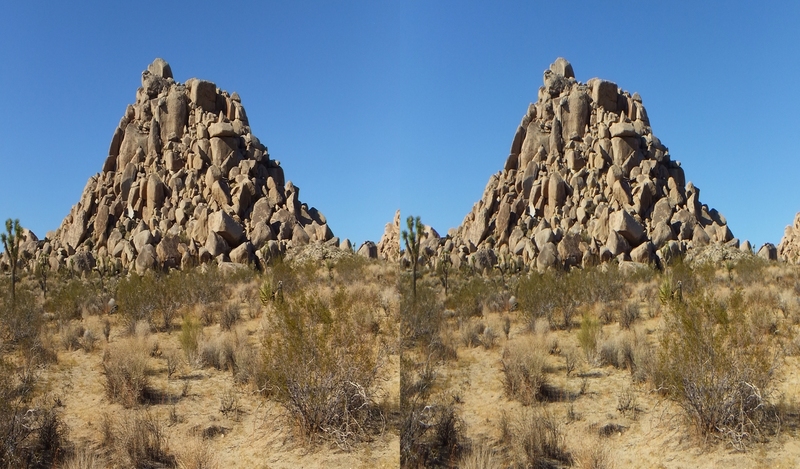 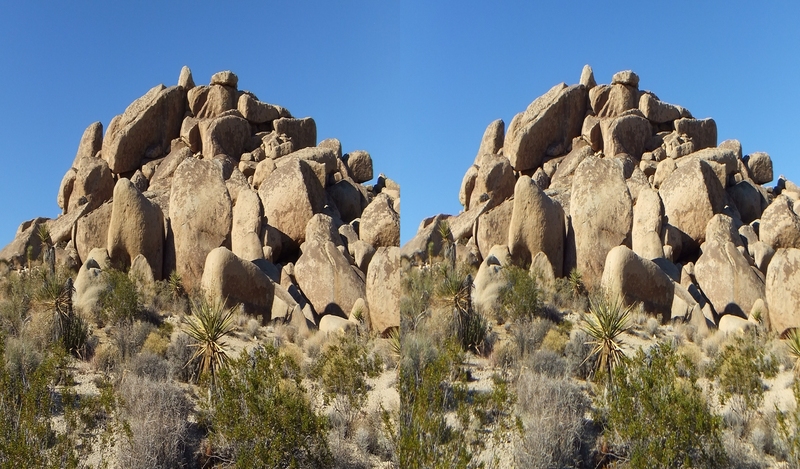 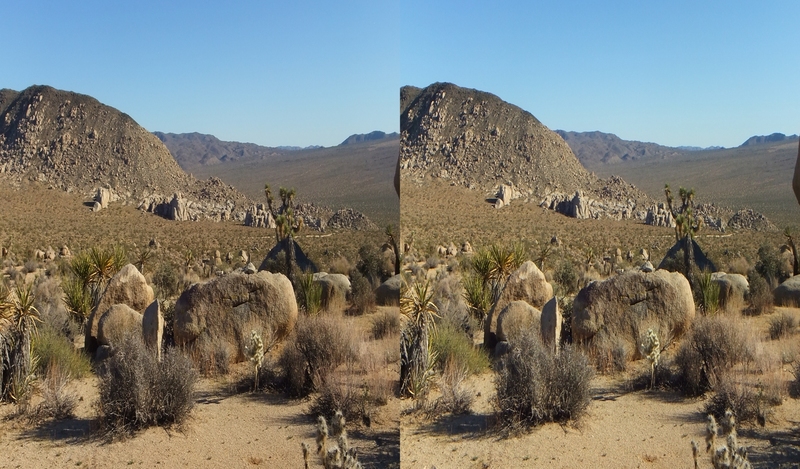 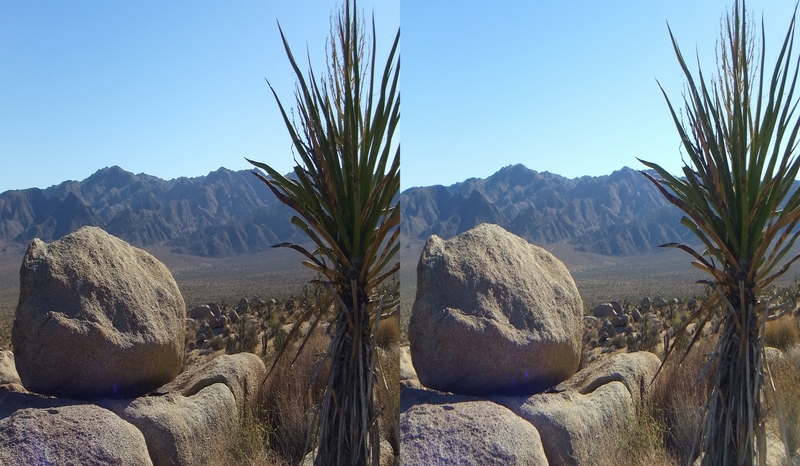 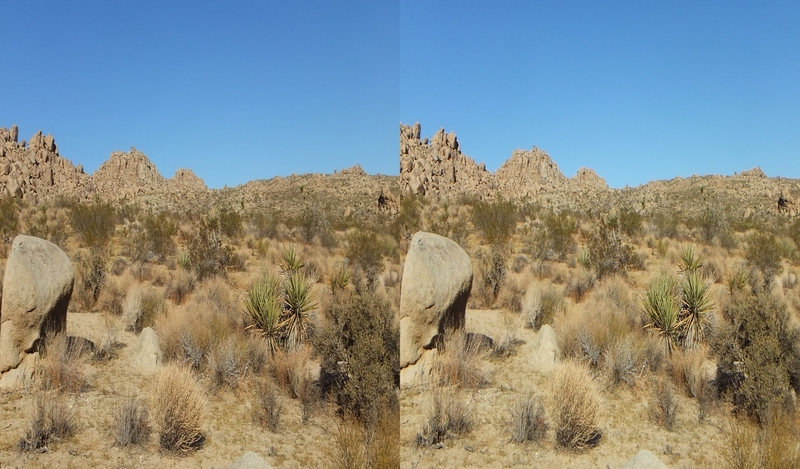 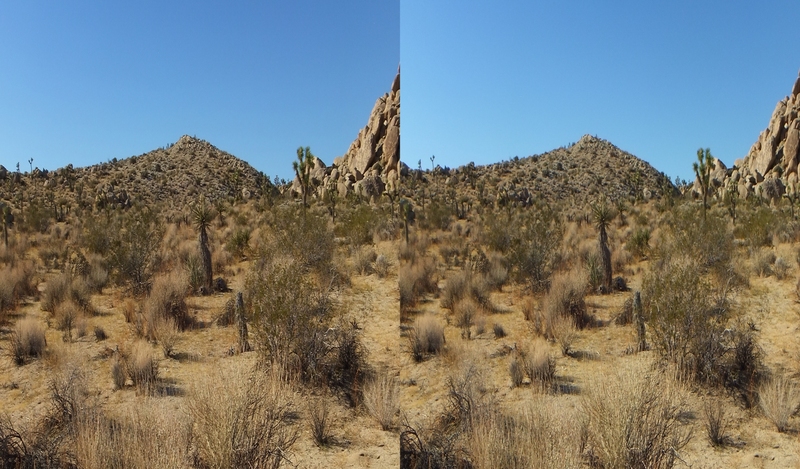 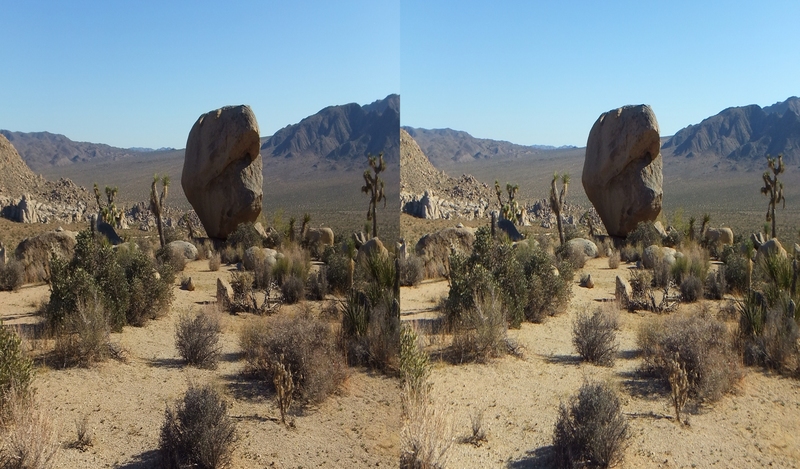 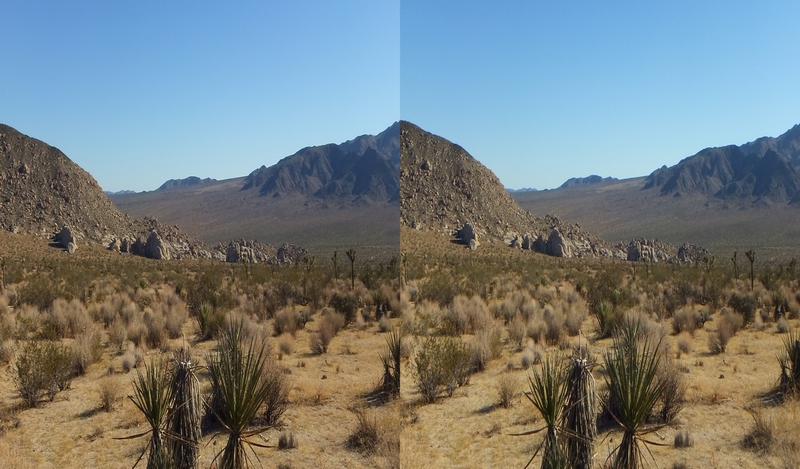 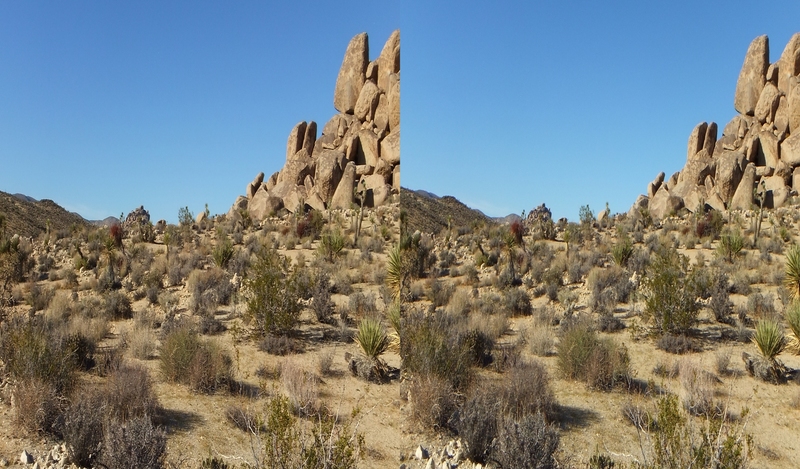 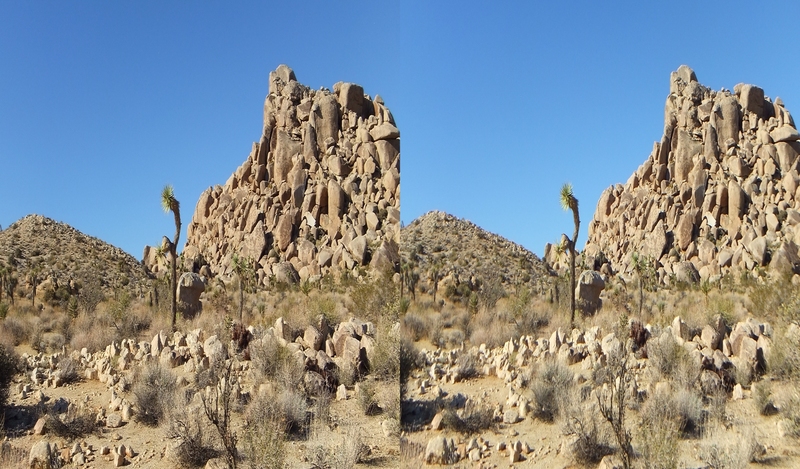 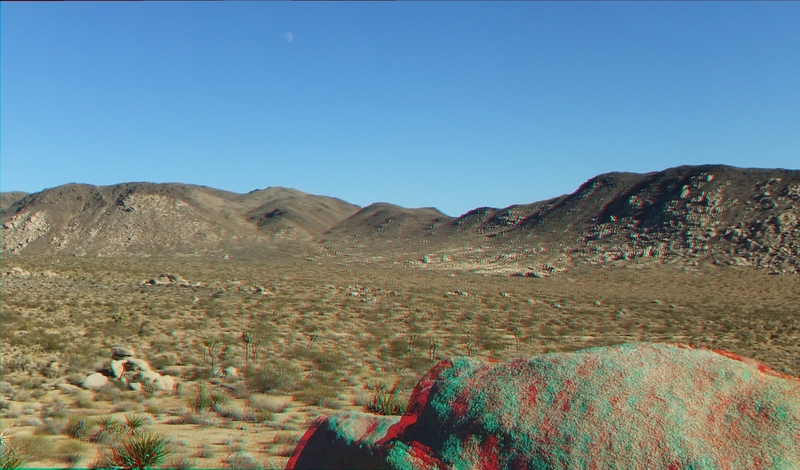 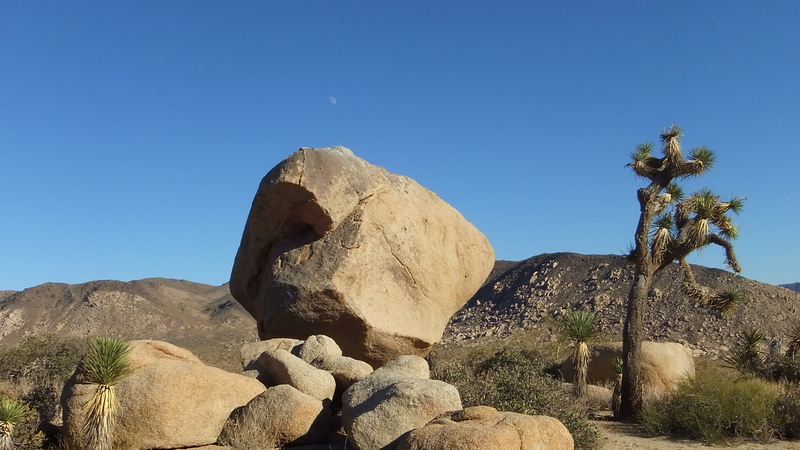 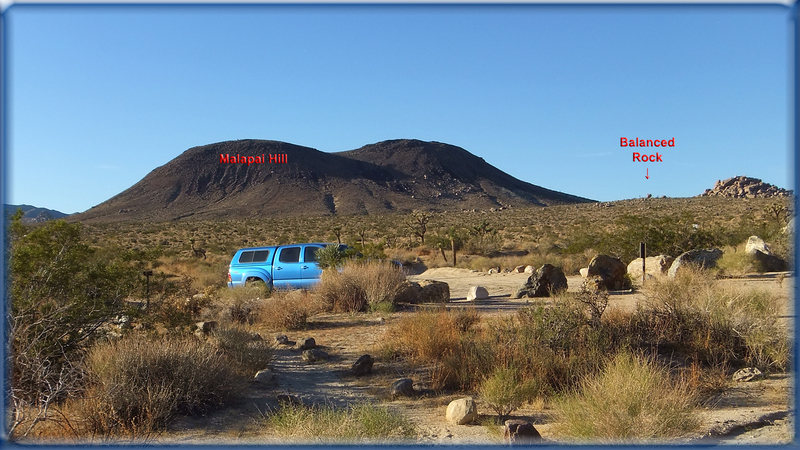 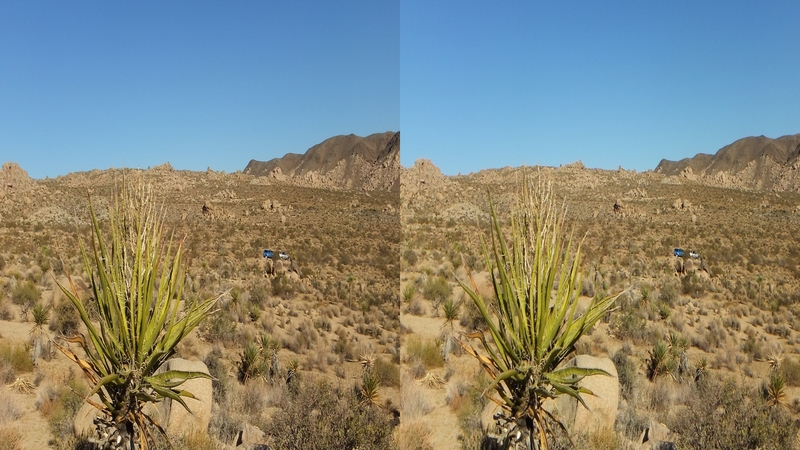 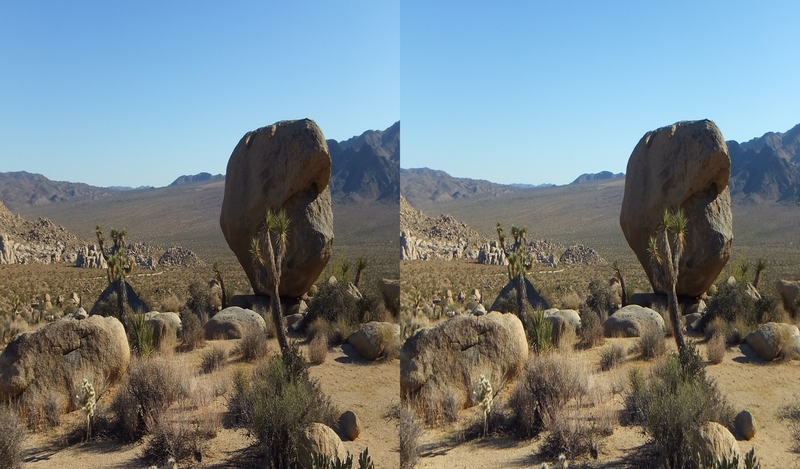 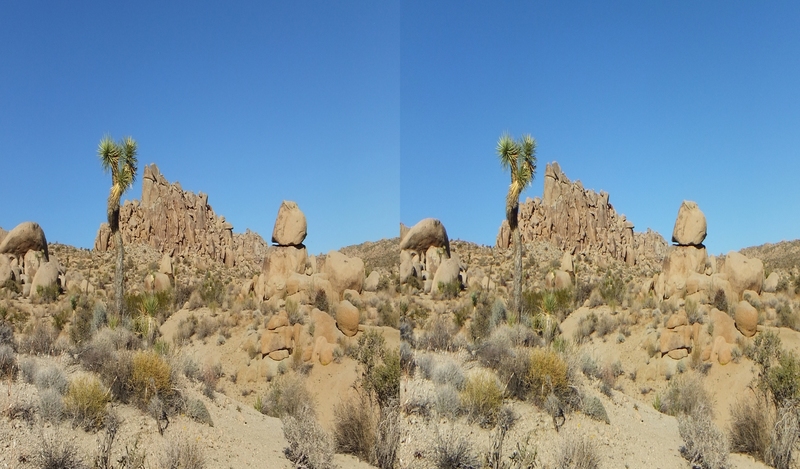 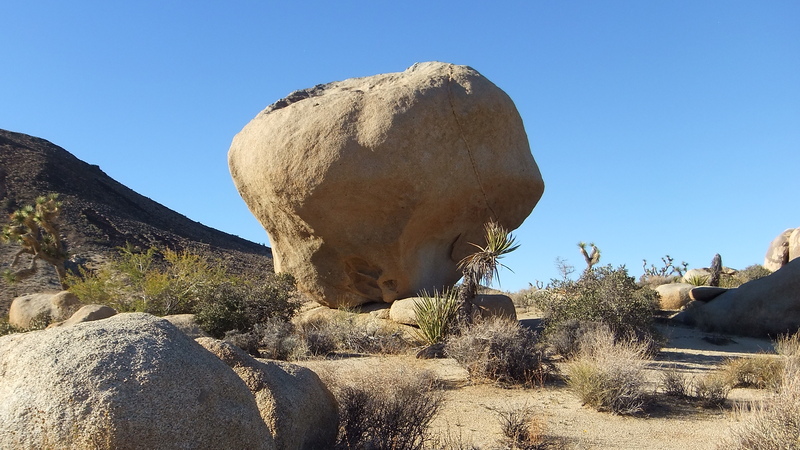 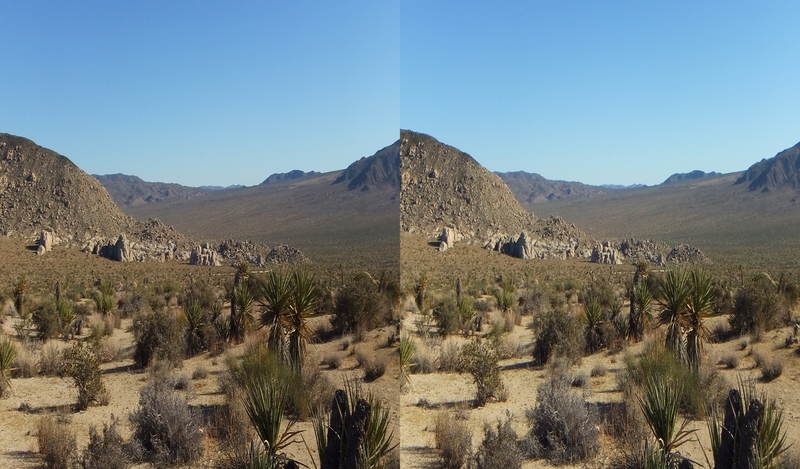 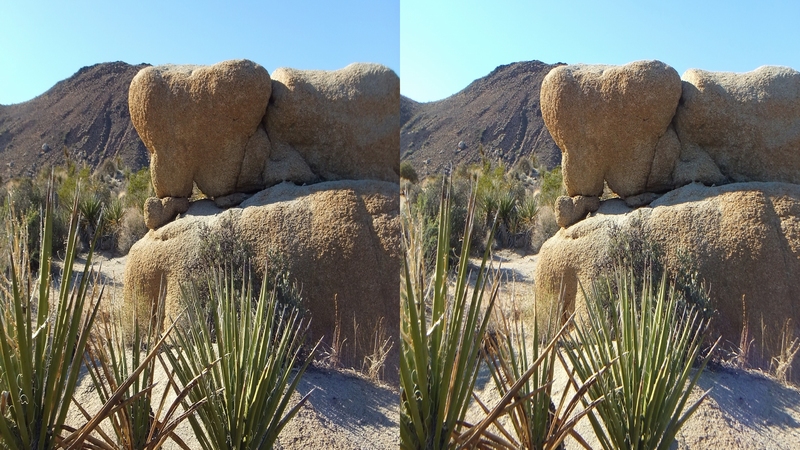 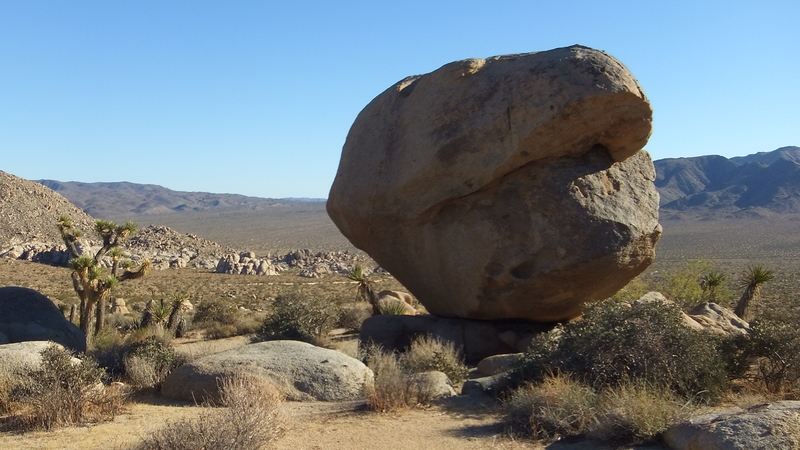 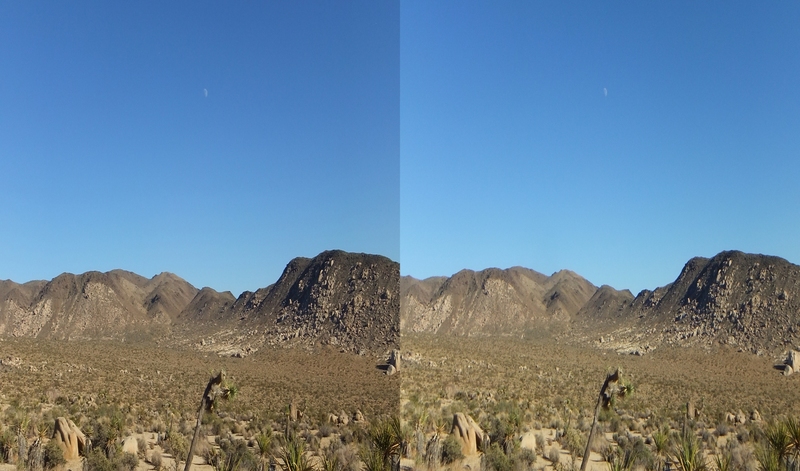 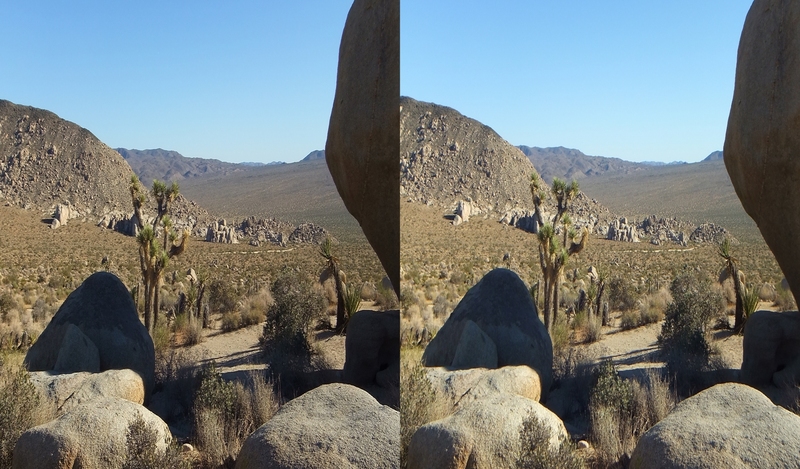 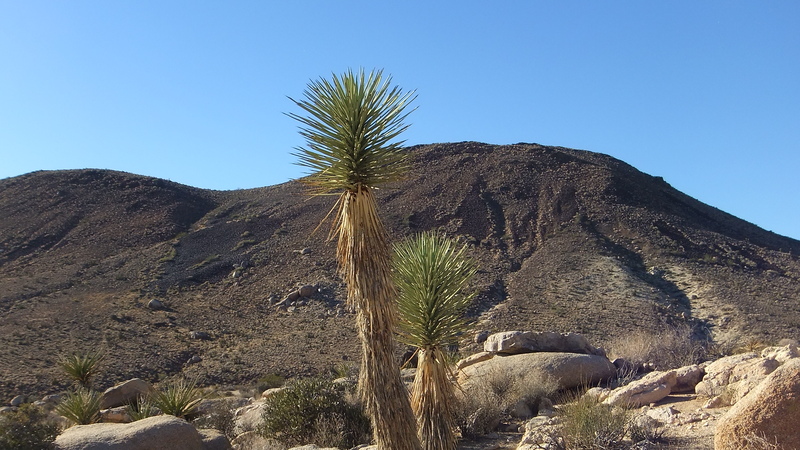 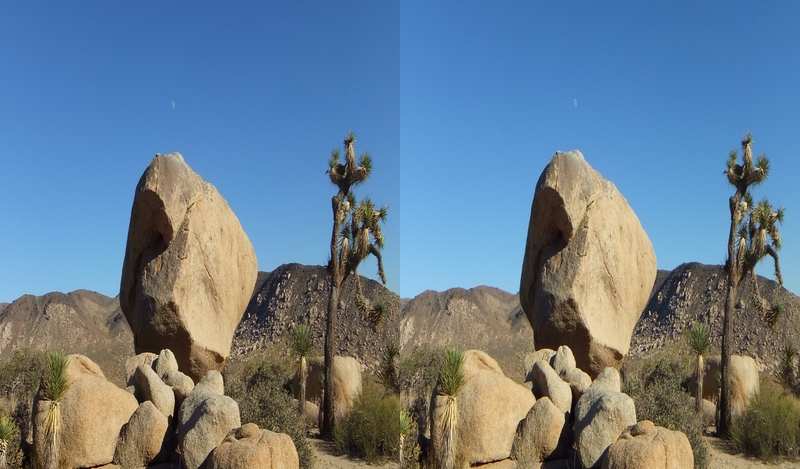 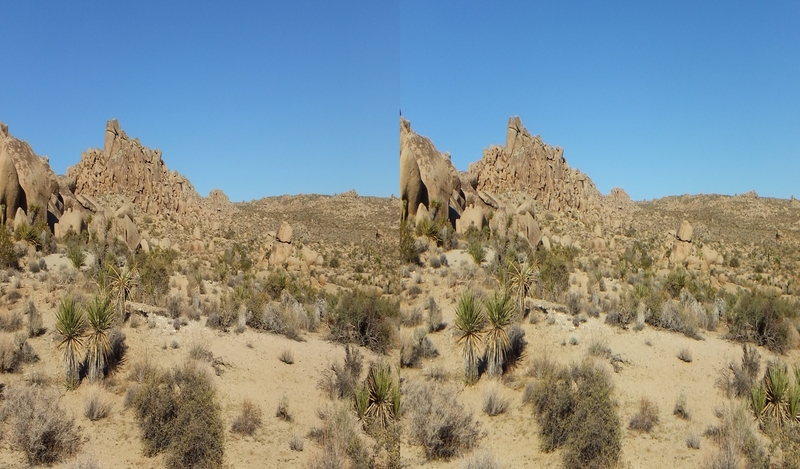 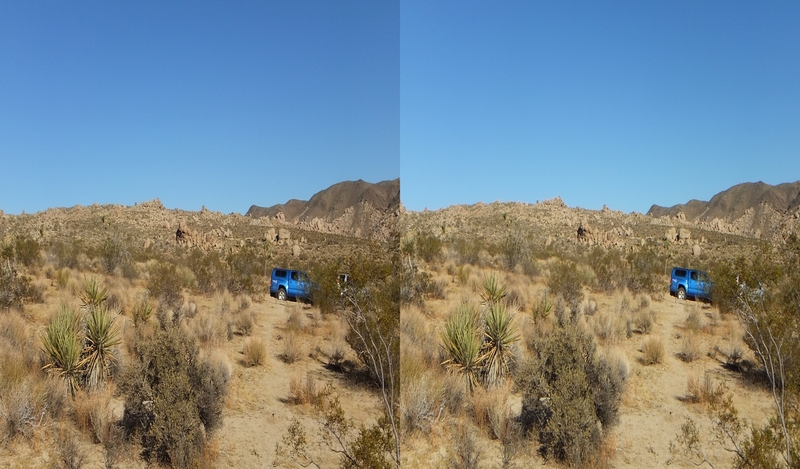 It was a beautiful clear day at Joshua Tree National Park. 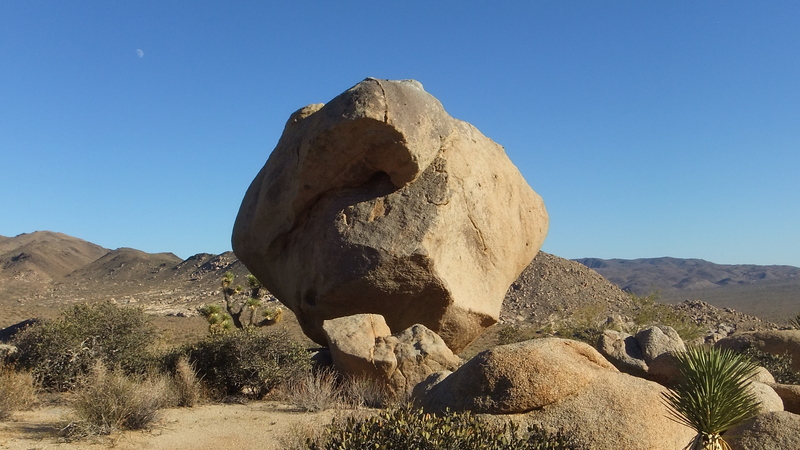 And I am certain that if this boulder could express itself, it would also thank you profusely. 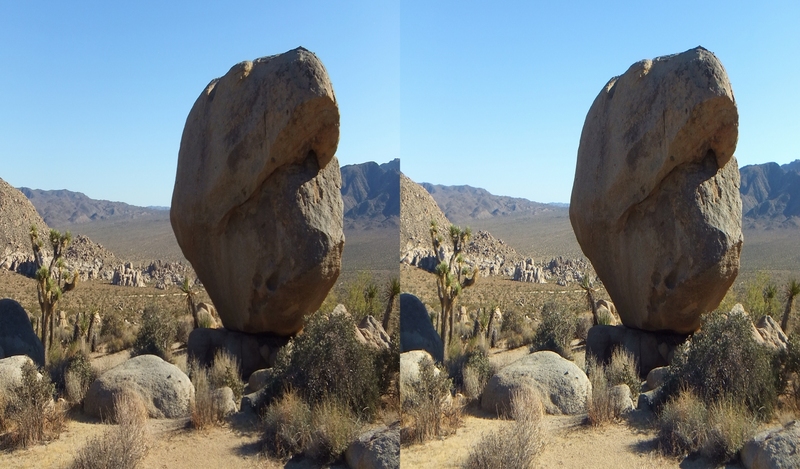 Consider: This granite pebble has stood just as you see it on its windswept pedestal through rain, howling wind, blinding baking heat, sonic booms, coyotes piddling on it, and the occasional idiot trying to push it over, for tens of thousands, if not hundreds of thousands of years, hoping for just this chance to show off its virtues in 3D.